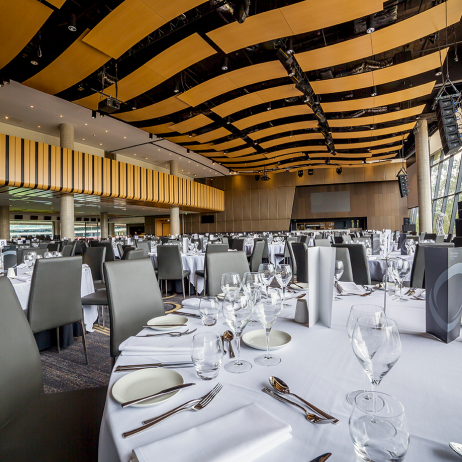 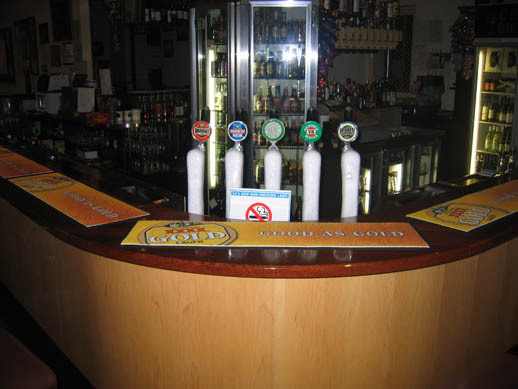 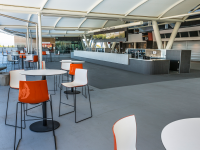 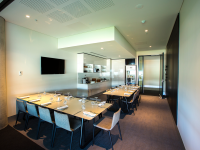 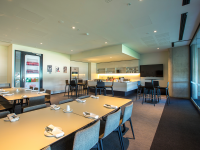 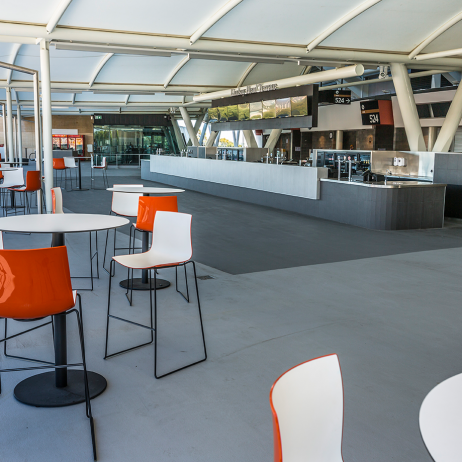 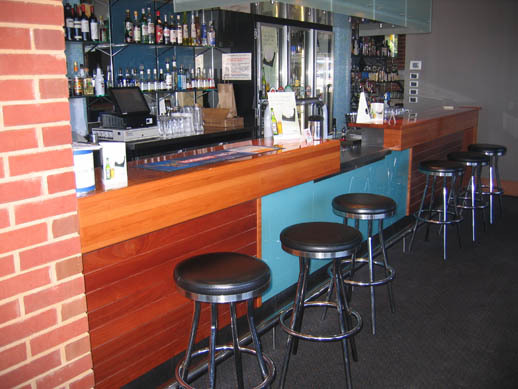 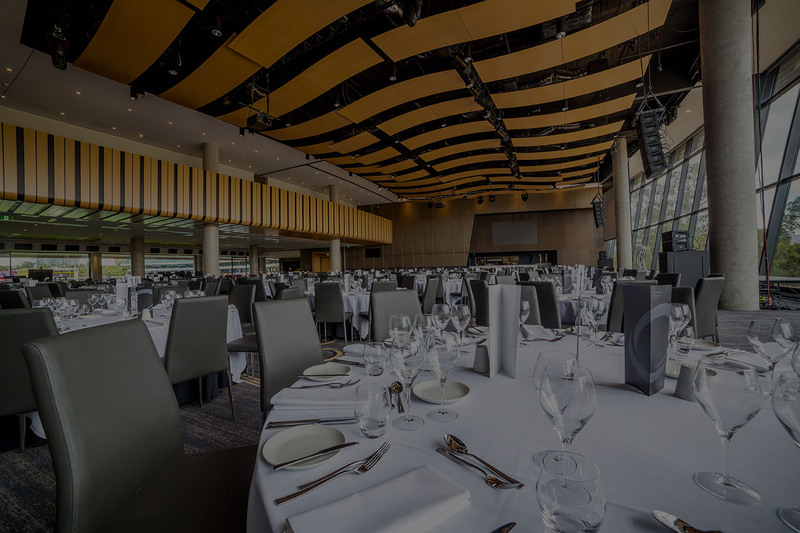 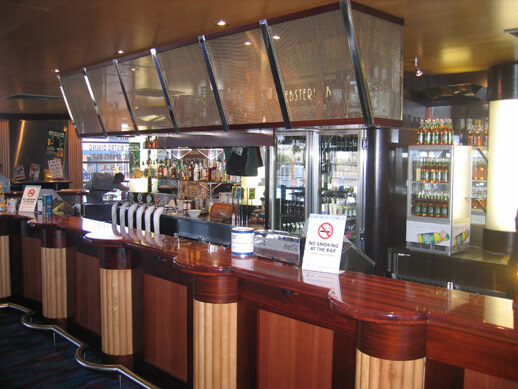 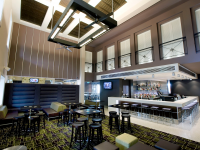 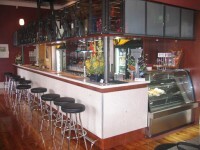 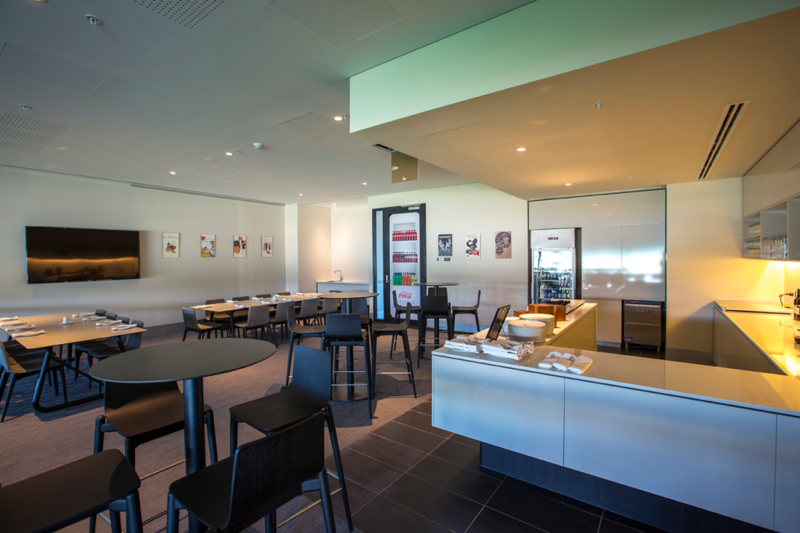 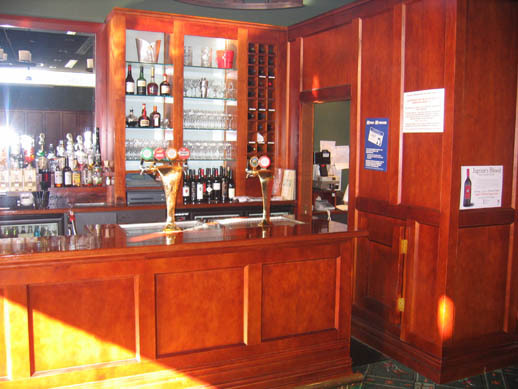 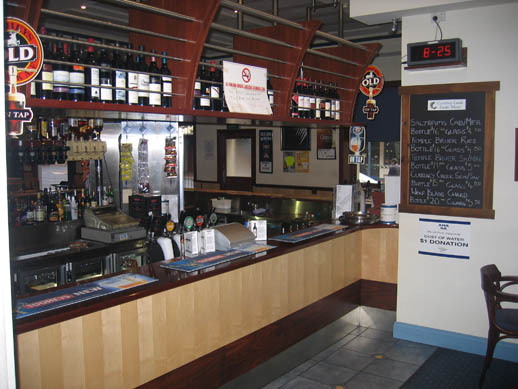 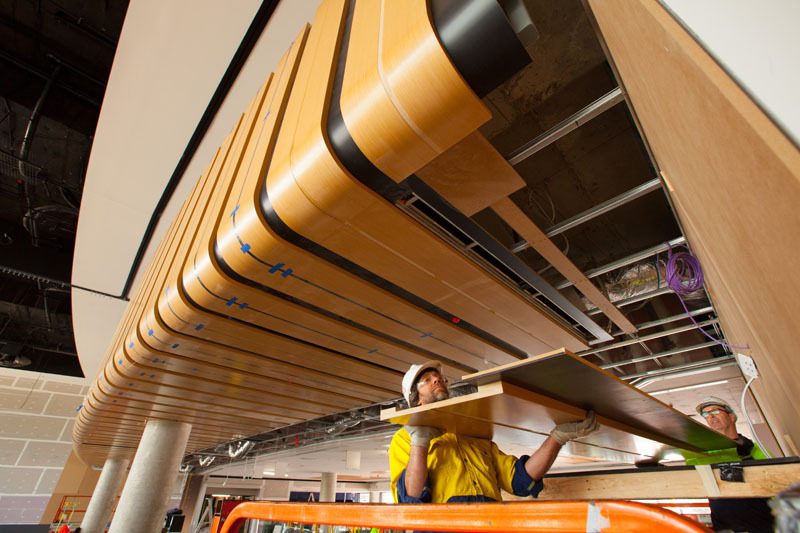 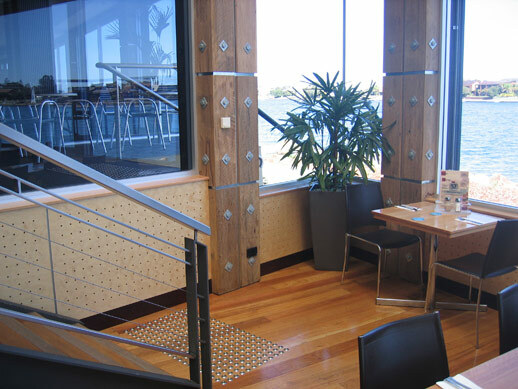 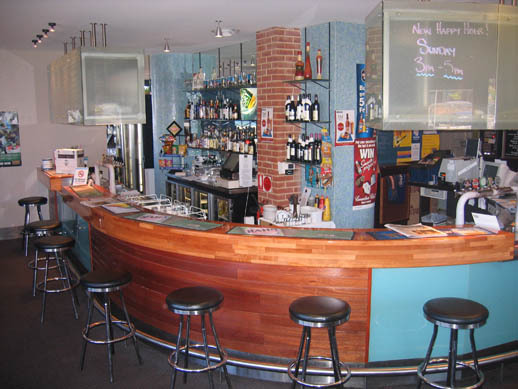 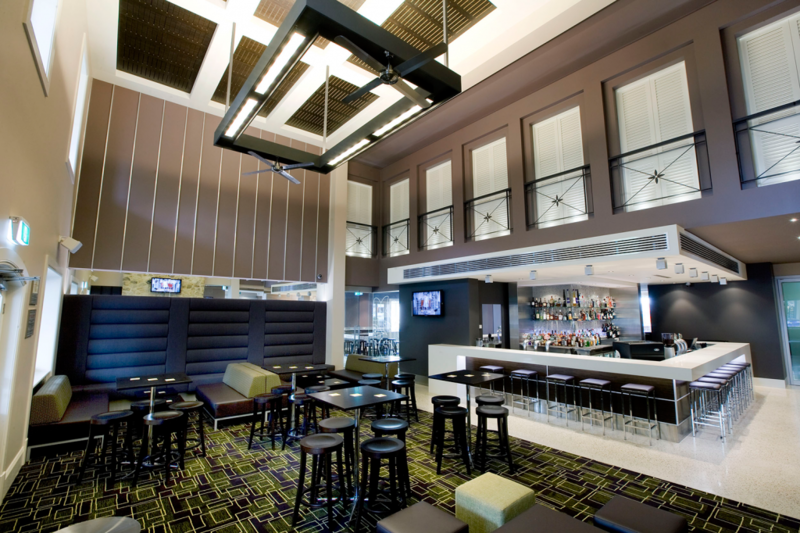 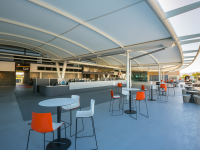 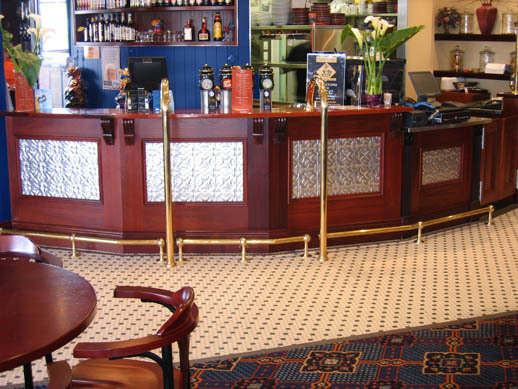 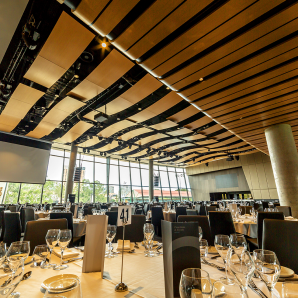 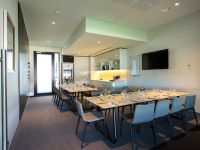 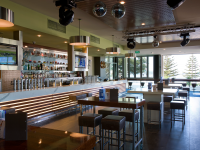 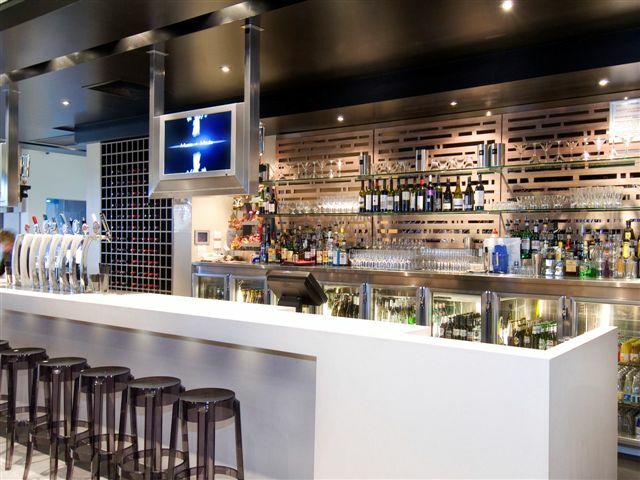 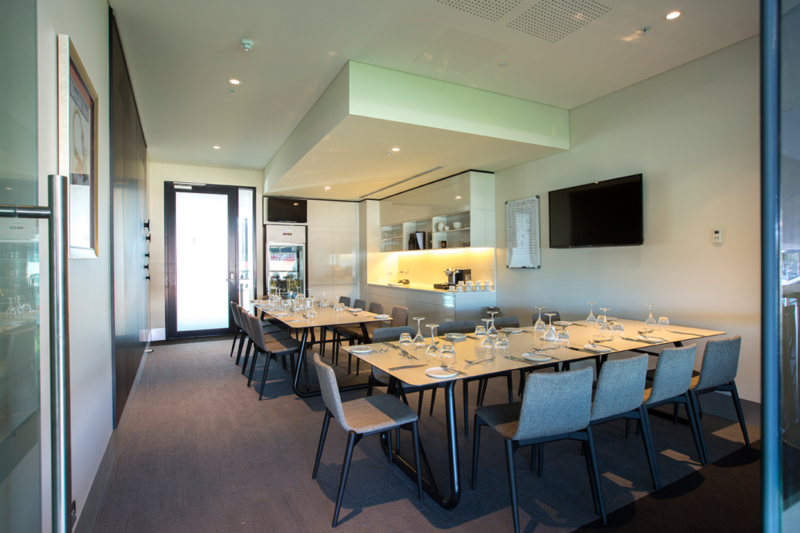 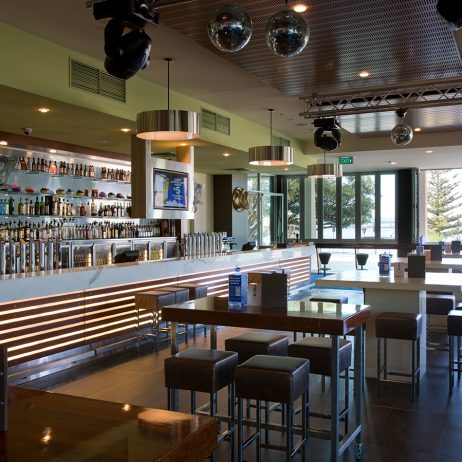 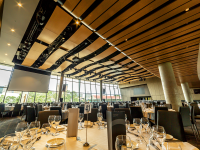 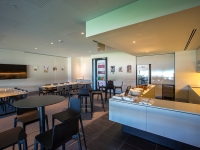 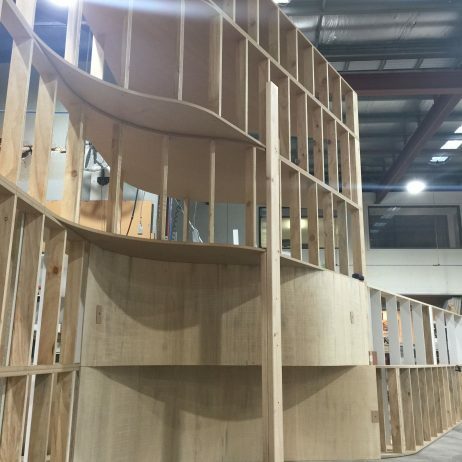 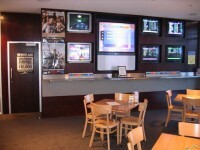 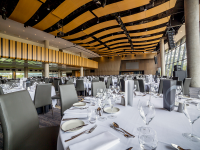 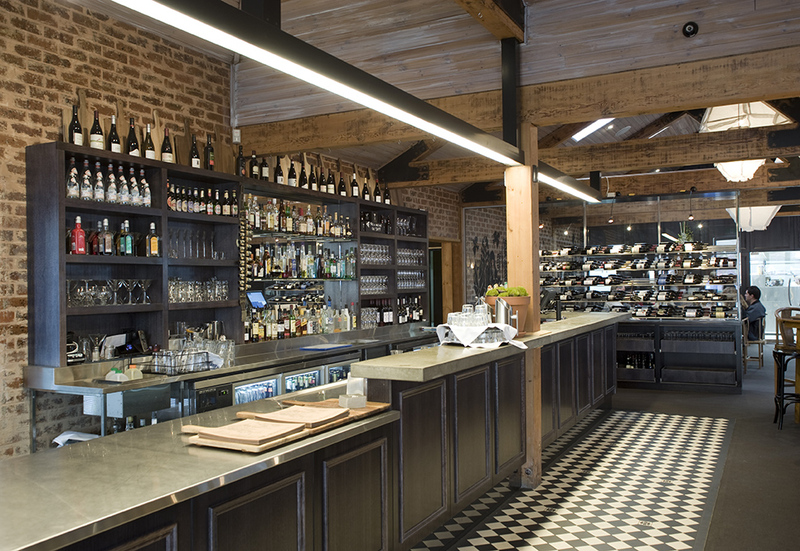 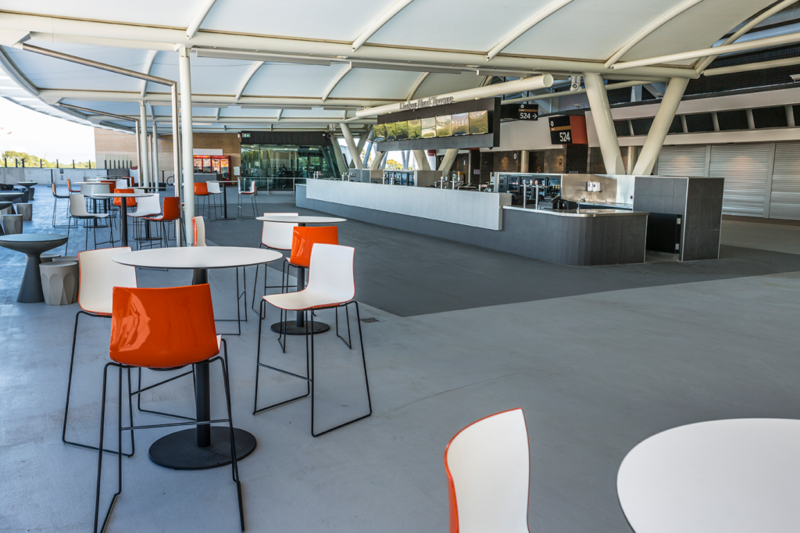 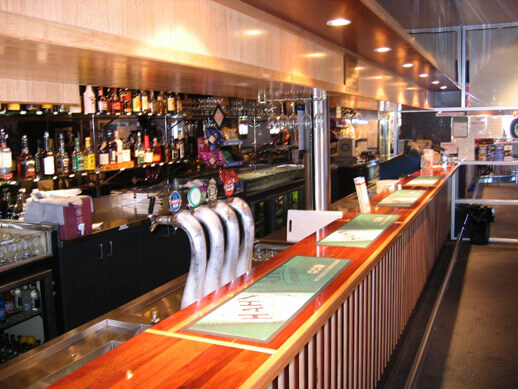 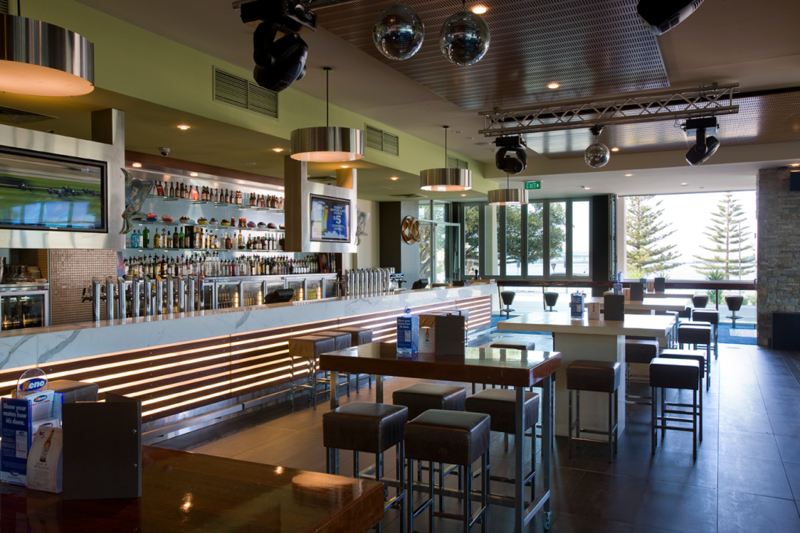 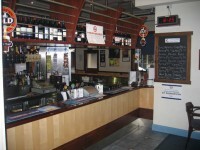 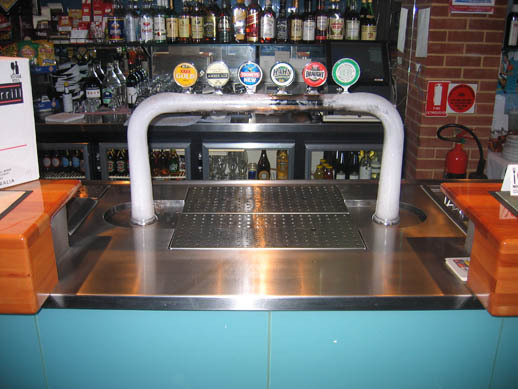 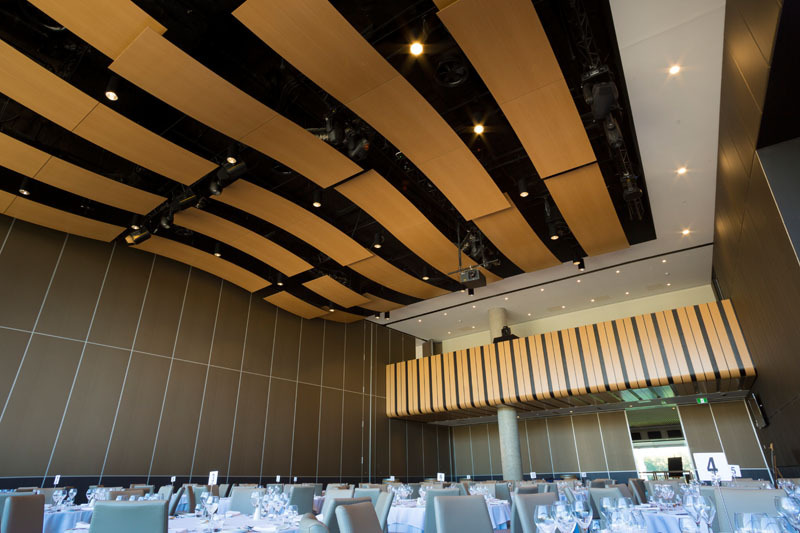 JRCM Commercial Joinery is a well respected South Australian manufacturing business specialising in custom commercial joinery solutions. 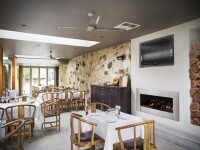 Over its 25 years in business, JRCM is very proud to have partnered with a number of tier one national building companies, worked for prominent SA hoteliers and collaborated with various architectural firms to produce high-quality, cost-effective, on-time, full turnkey joinery solutions for a diverse range of clients. Founded in 1993, John Reuther commenced his own cabinet making business, working from a small workshop in Edwardstown. 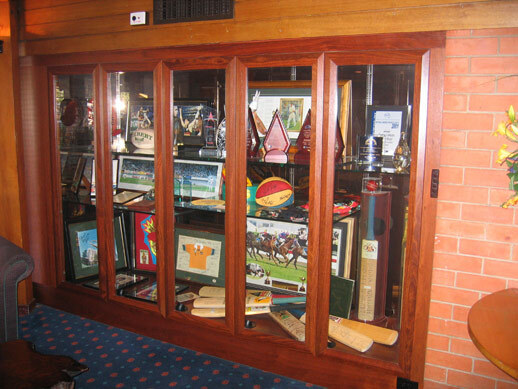 With John’s commitment to the customer, his integrity and workmanship, the business quickly expanded and lead to the new company John Reuther Cabinet Makers P/L being formed in 1999. 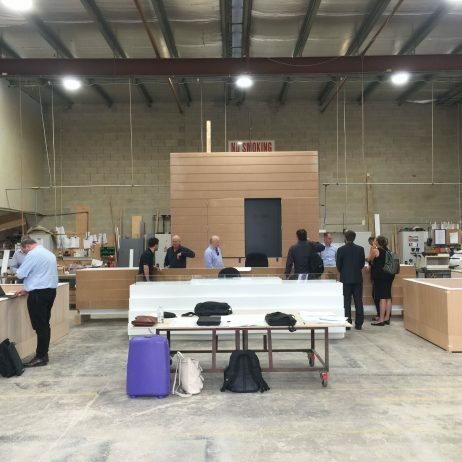 With the growth in opportunities, the company required larger workshop facilities and in 2002 relocated to Thebarton, with over 1800m2 of floor space. 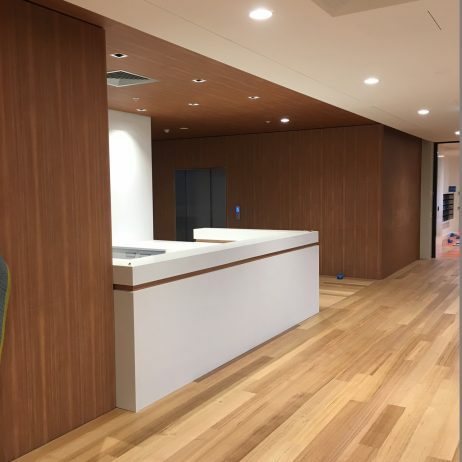 Continued growth of the business and the expanding nature of work performed has recently resulted in the decision to trade under the name JRCM Commercial Joinery. 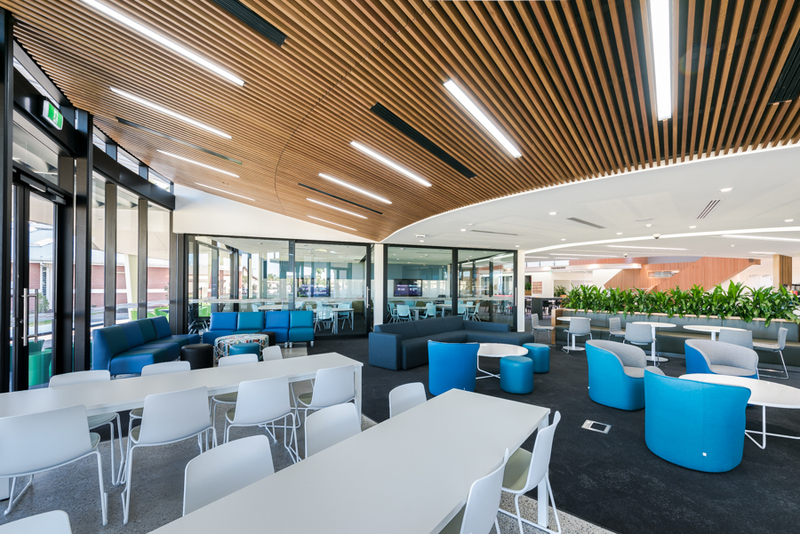 This name change coincides with another relocation of workshop facilities, expanding the footprint to 4,000m2 at Dudley Park. 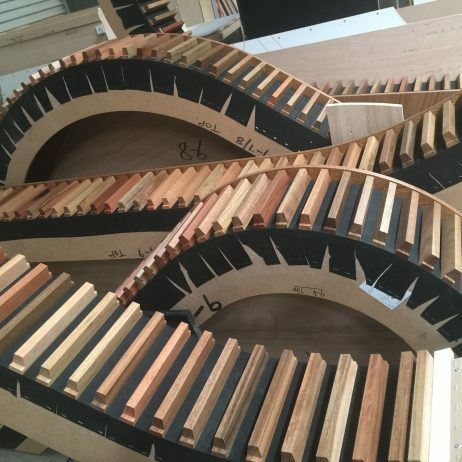 Our modern workshop is equipped with the latest equipment and machinery required to produce high quality joinery solutions. 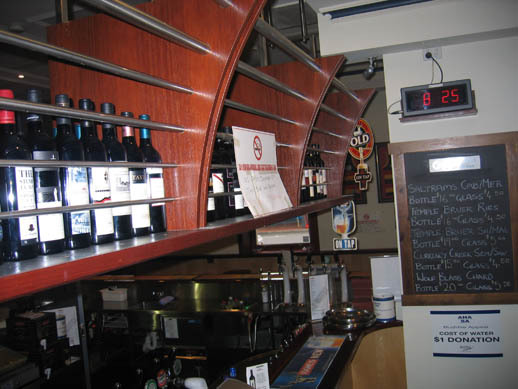 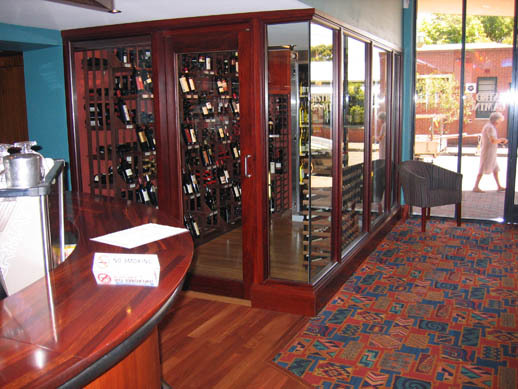 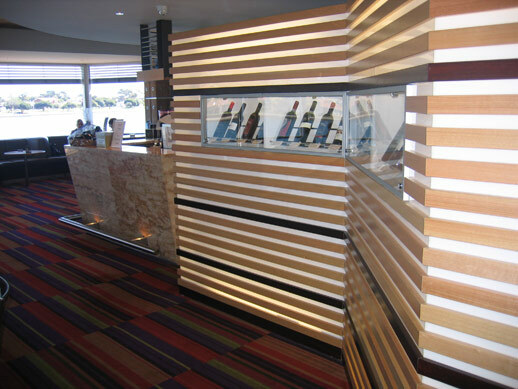 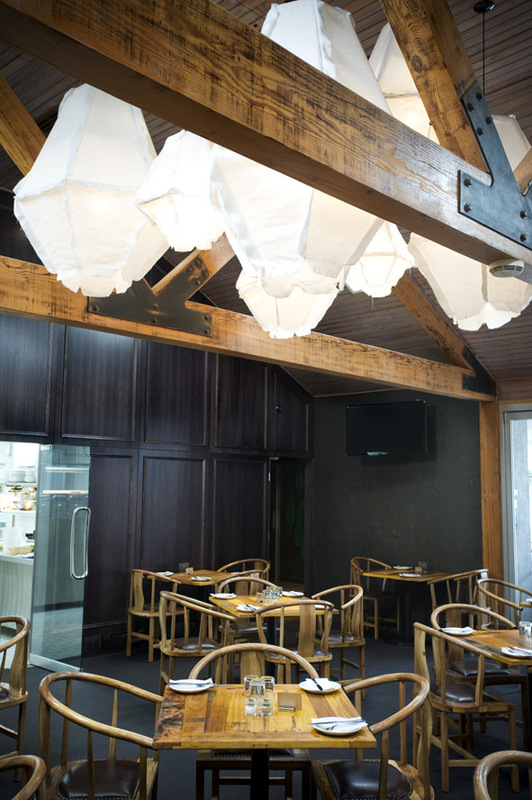 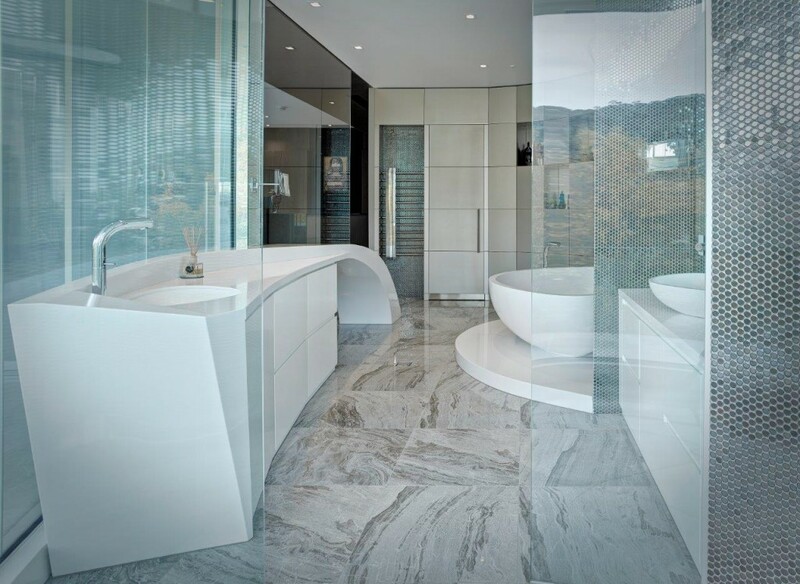 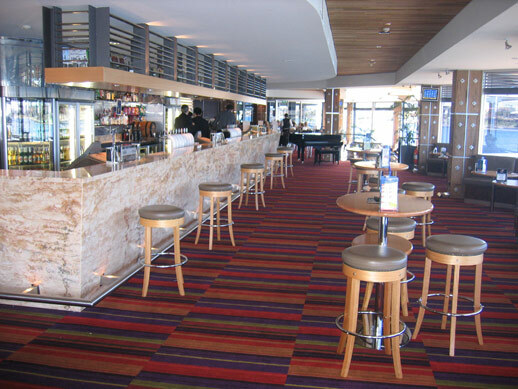 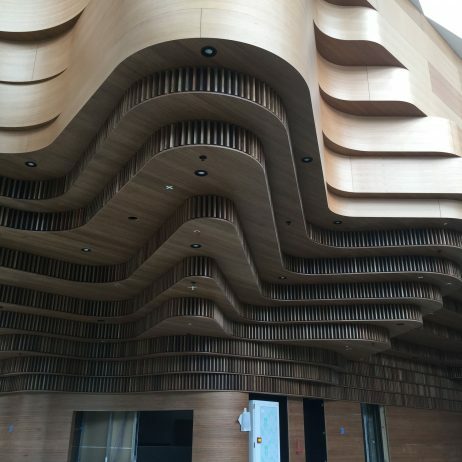 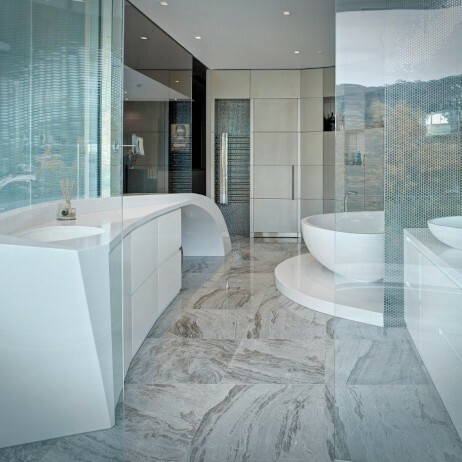 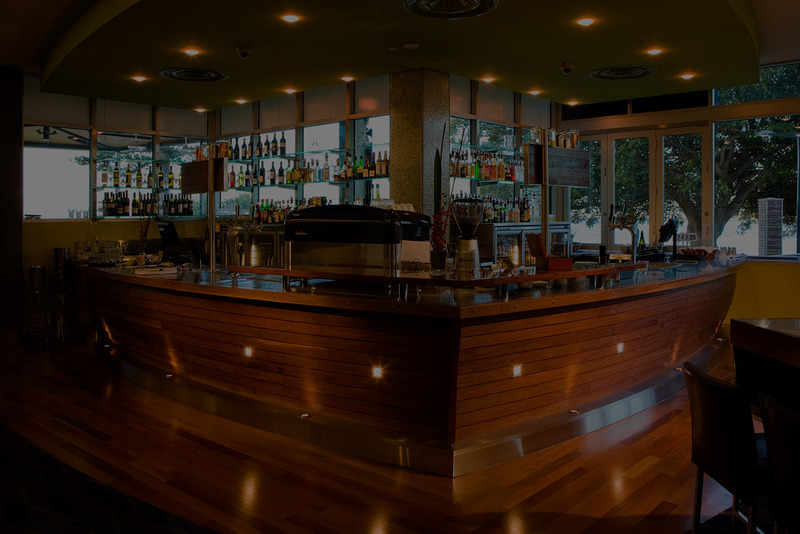 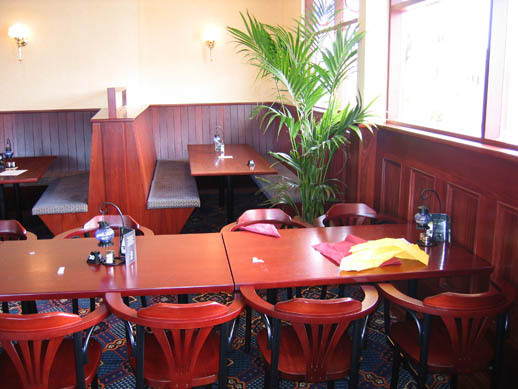 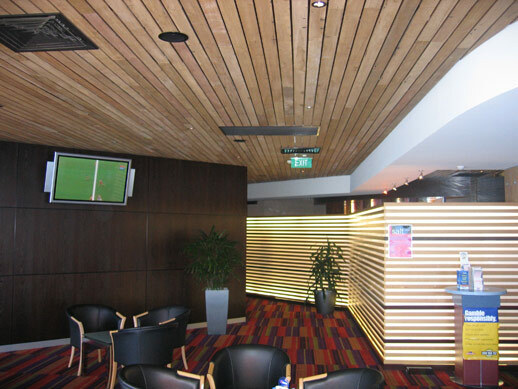 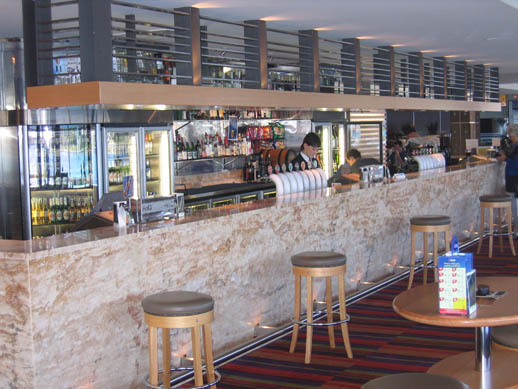 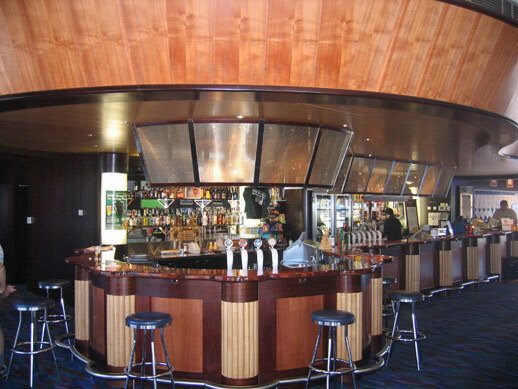 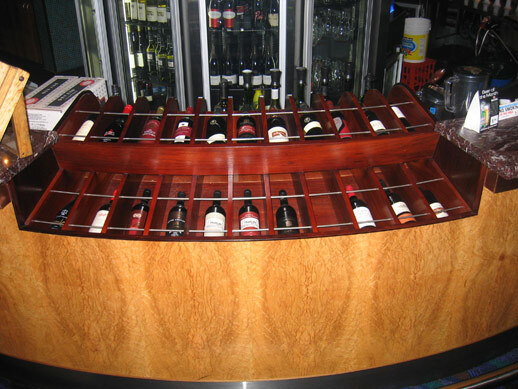 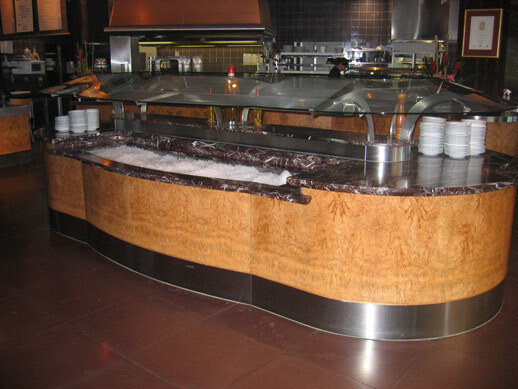 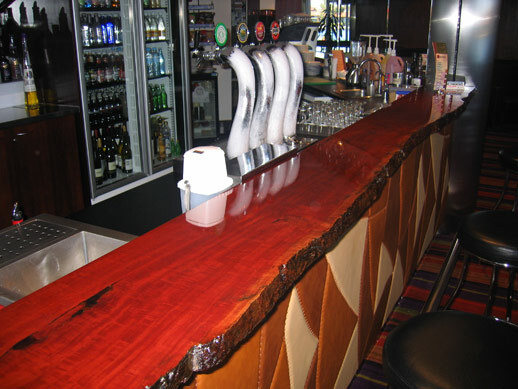 We are able to source and work with any type of timber including veneers and laminates, and any other materials required including concrete, stainless steel, upholstery, stone and glass. 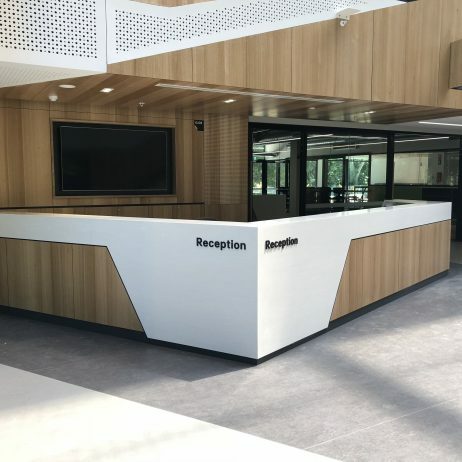 We use the latest specialist drawing packages that interface directly to our CNC machine, ensuring complete accuracy and efficiency. 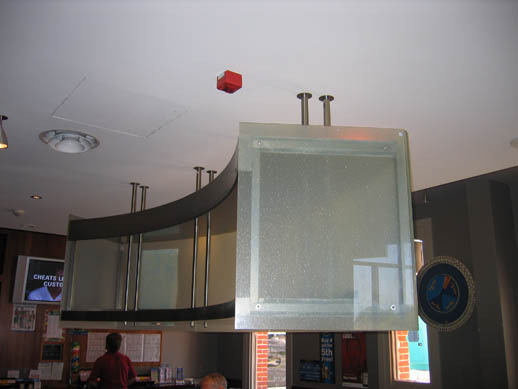 Our state of the art spray booth is vital to achieving the quality finishes we insist on. 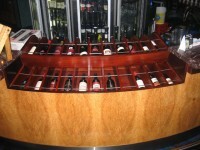 Whether it be paint, lacquer, polish, 2 pack polyurethane or stain. 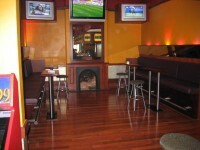 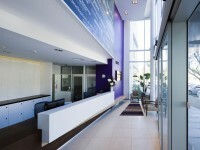 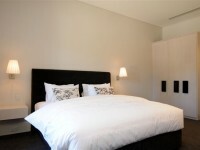 We are able to produce the look you want and a finish that is first class. 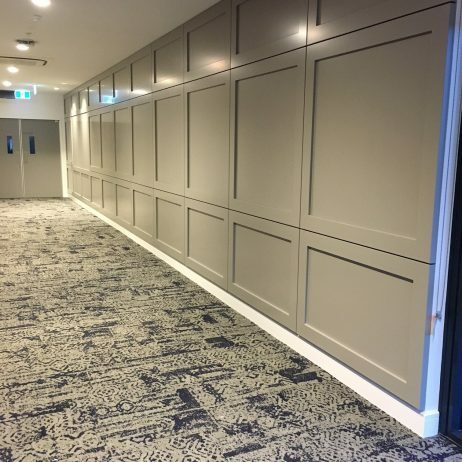 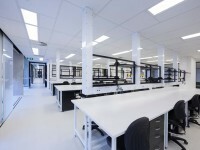 JRCM Commercial Joinery has established a reputation for producing high-quality design solutions that meet the needs of small and large-scale projects regardless of the size or scope of the project. 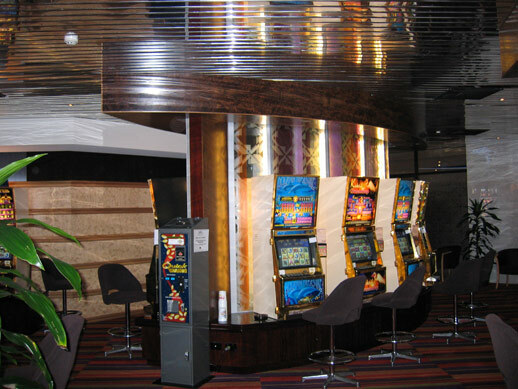 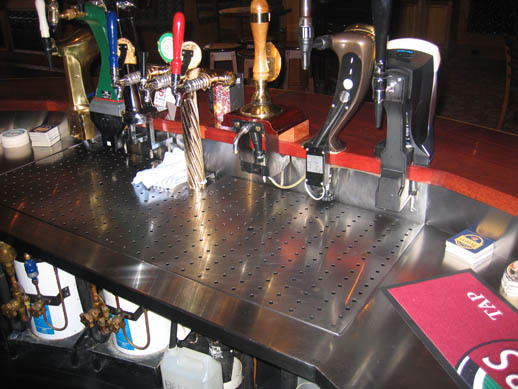 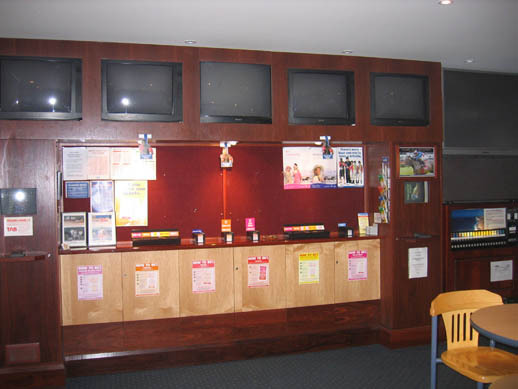 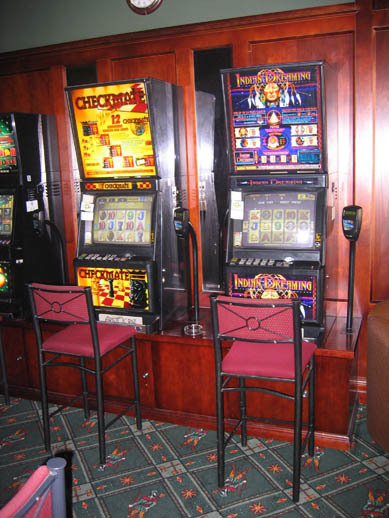 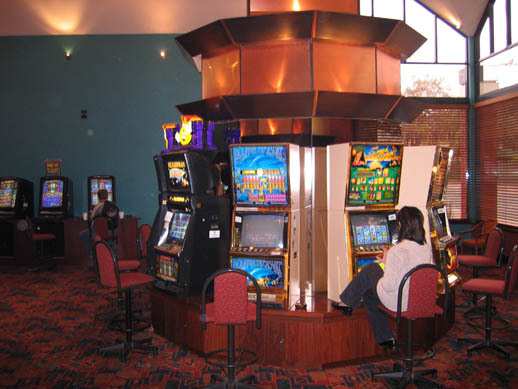 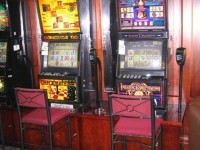 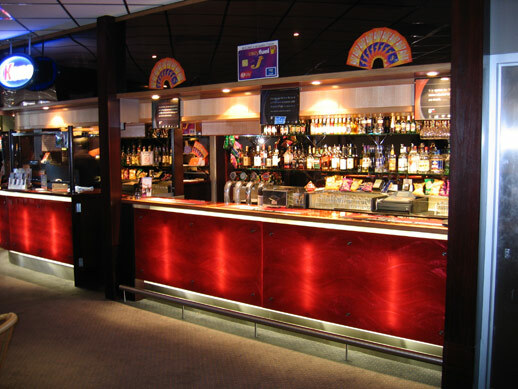 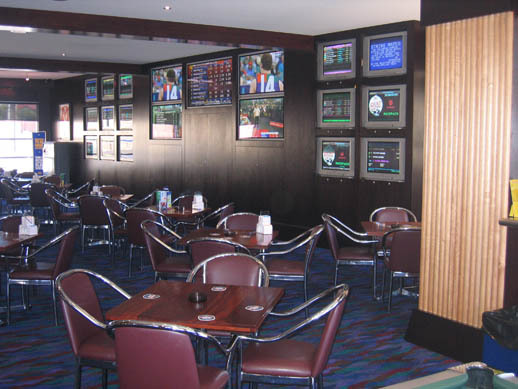 Whether you require new gaming machine bases, a reworked bar, coffee station, wall paneling or a total refurbishment, we have the expertise and team to help you achieve your vision and make it a reality. 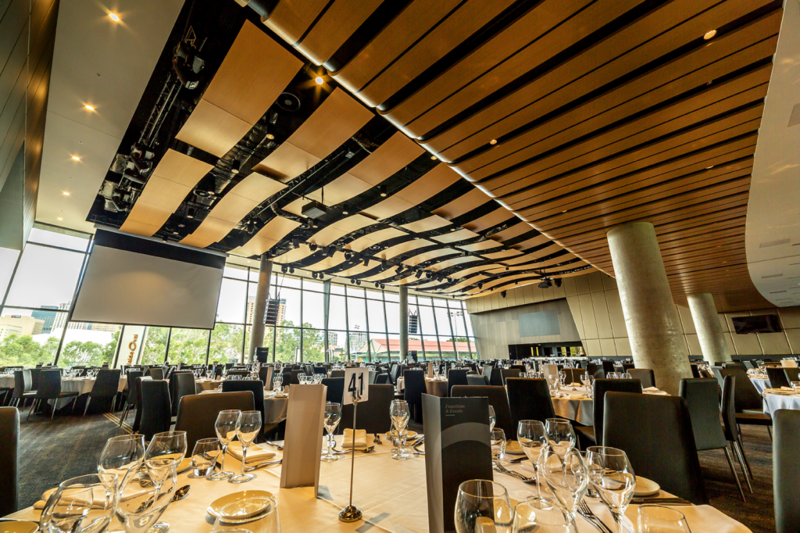 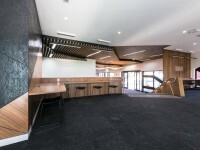 Some of the projects, JRCM Commercial Joinery has completed include, Tower 8, Workcover, Flinders Cancer Research Centre, Port Lincoln Hotel, The University of Adelaide Learning Centre, Christian Brothers College and more recently, The Adelaide University Braggs Building, University of SA Learning Centre, The Shepparton Law Courts and the landmark Adelaide Oval. 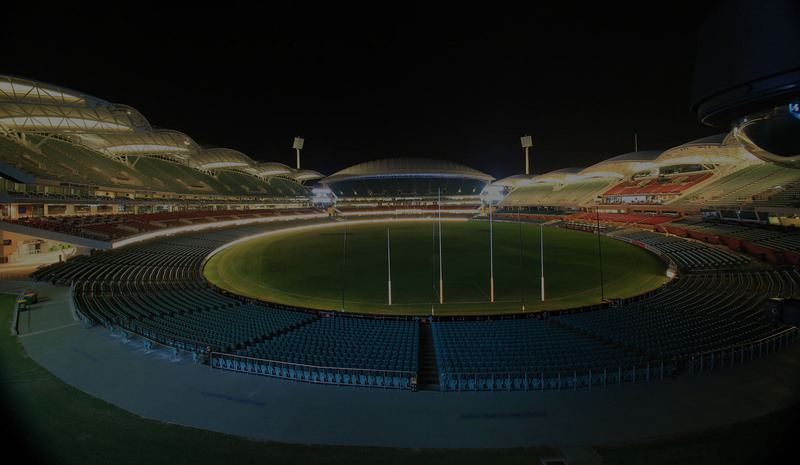 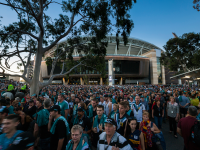 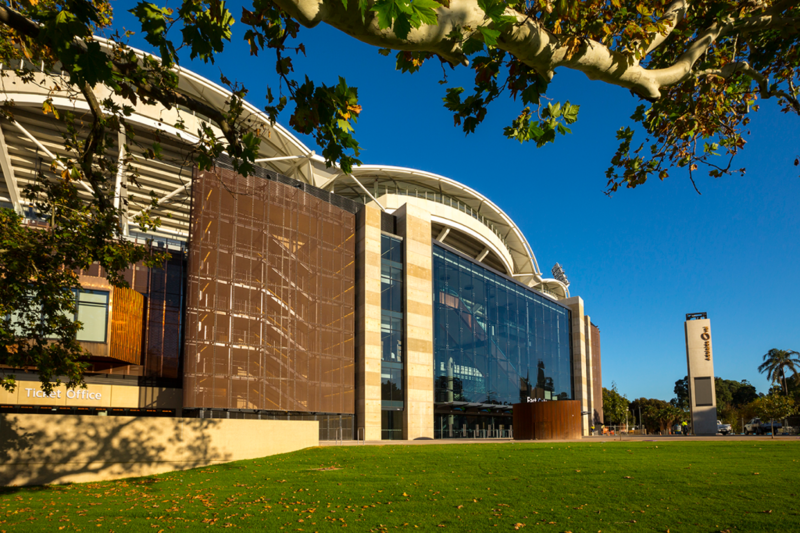 This project was a landmark development for South Australia. 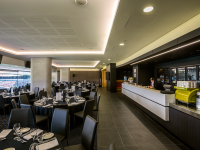 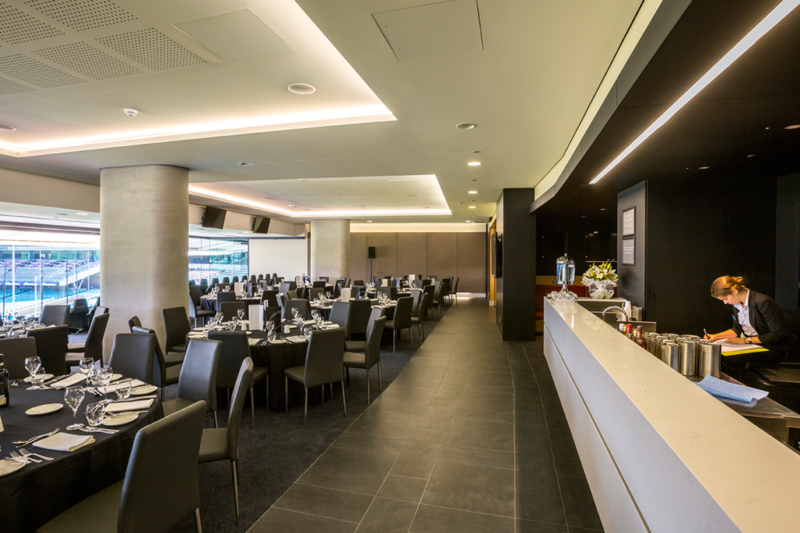 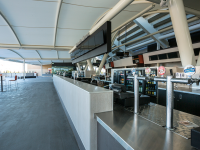 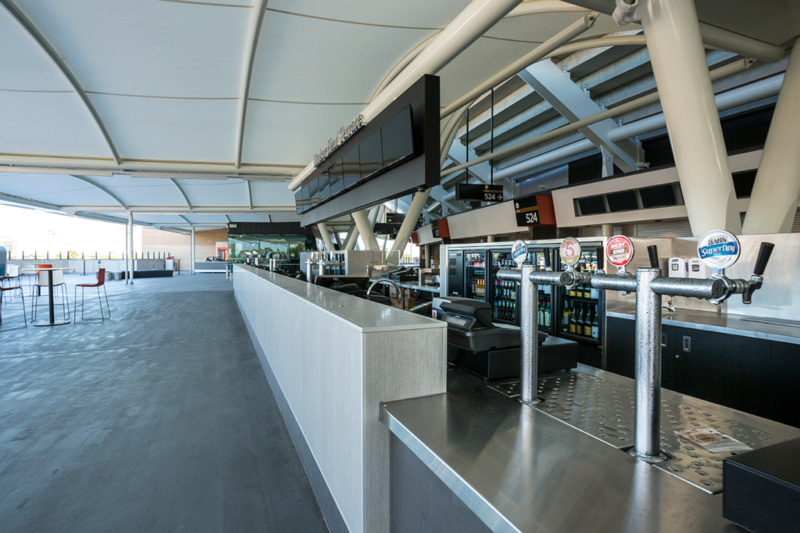 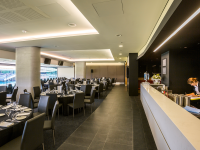 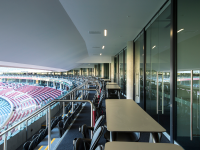 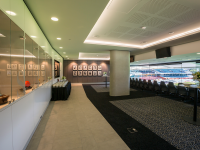 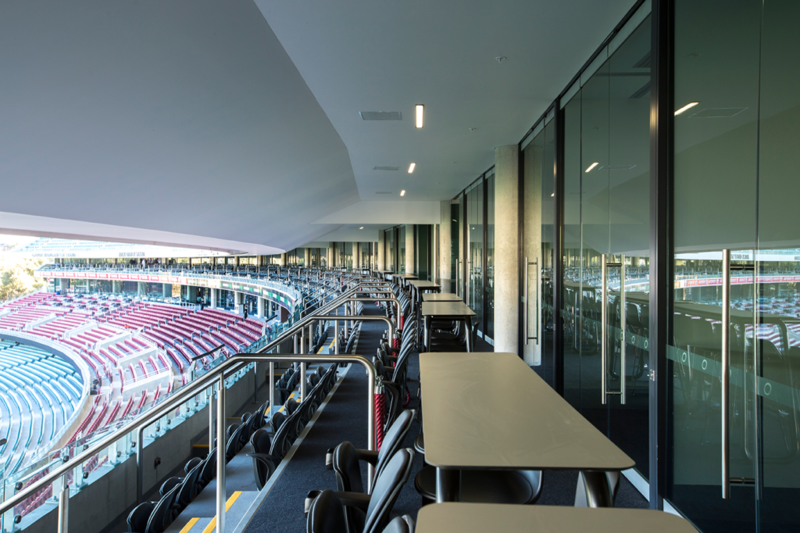 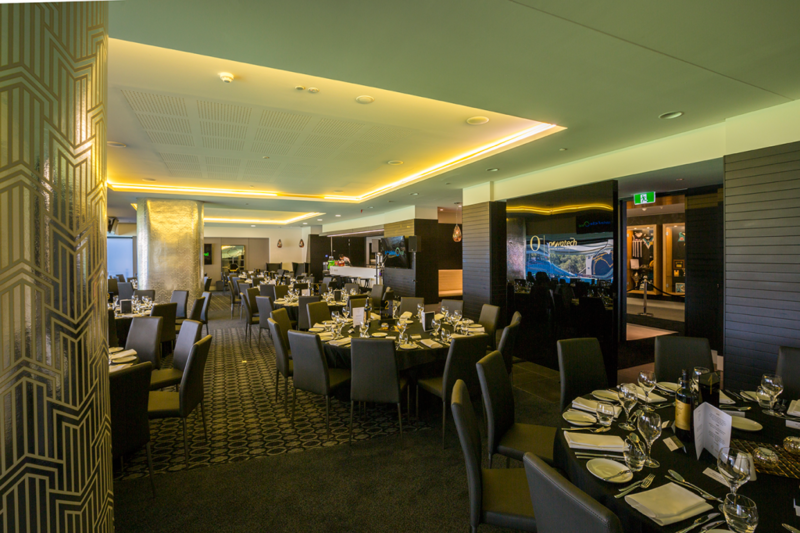 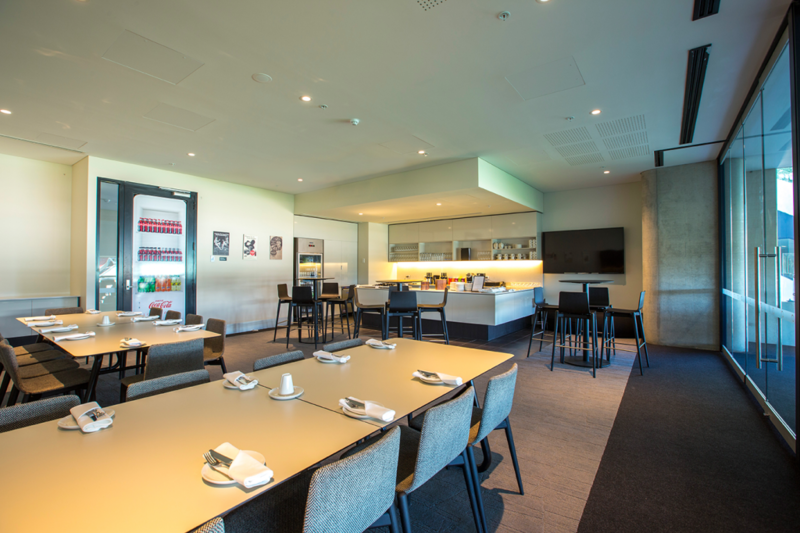 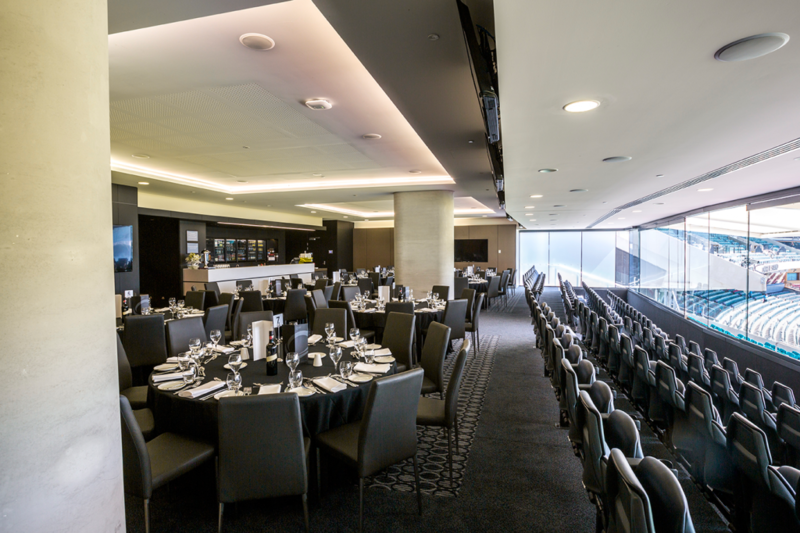 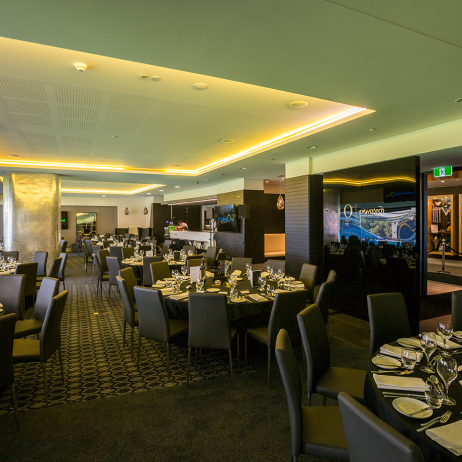 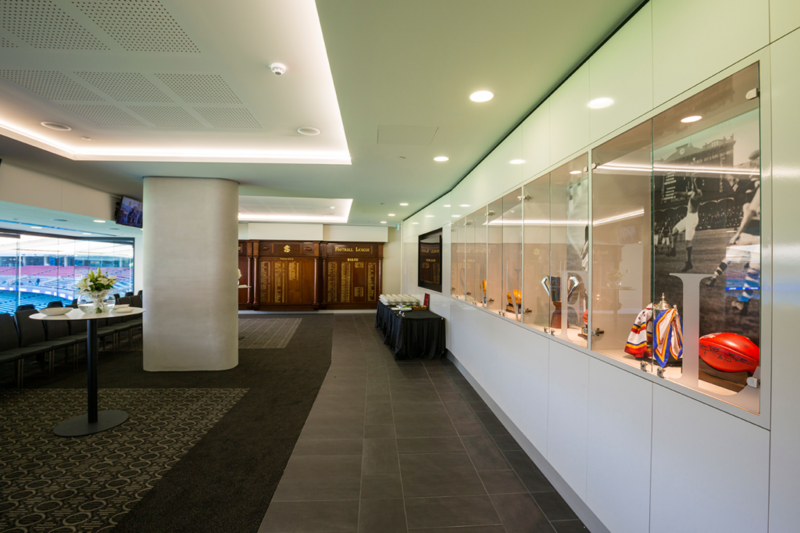 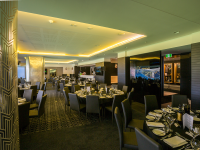 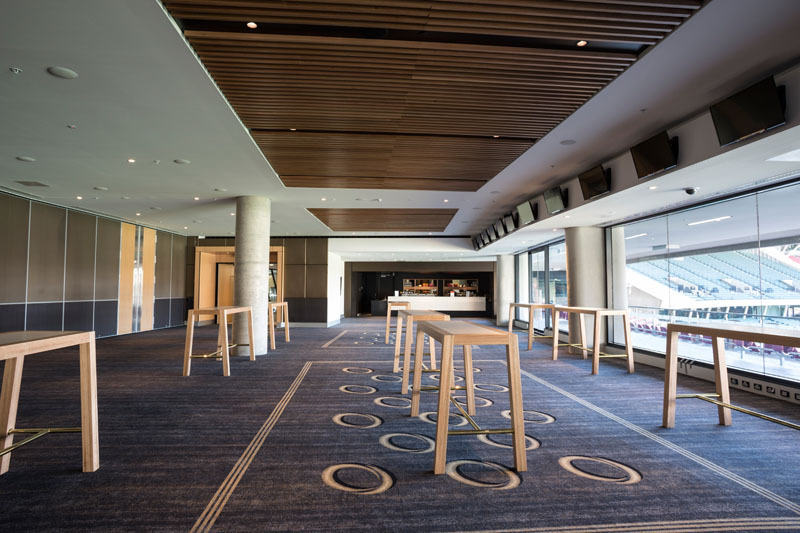 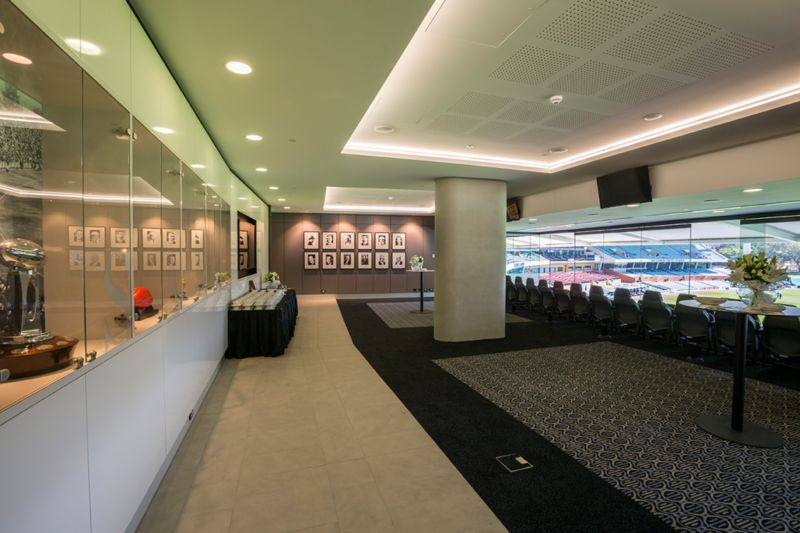 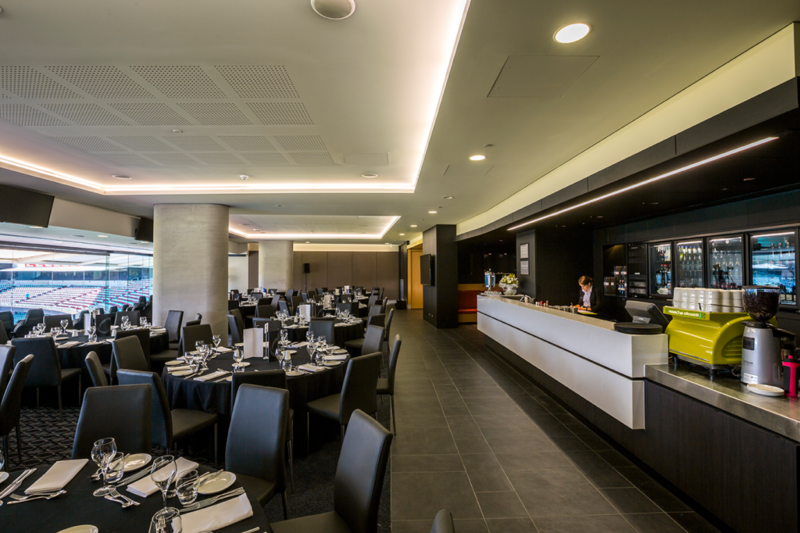 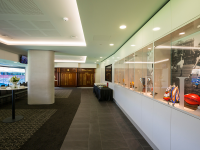 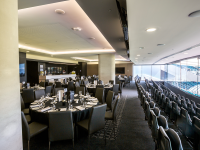 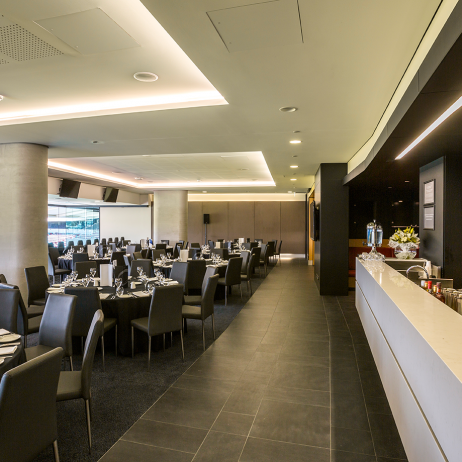 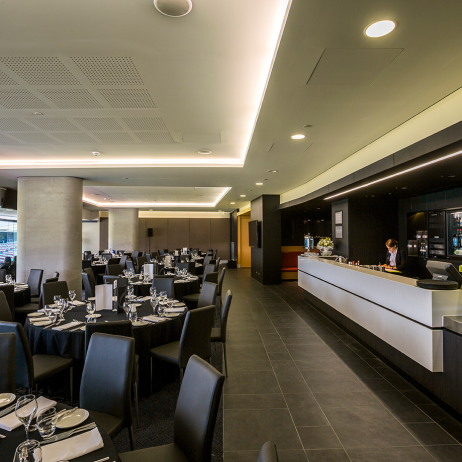 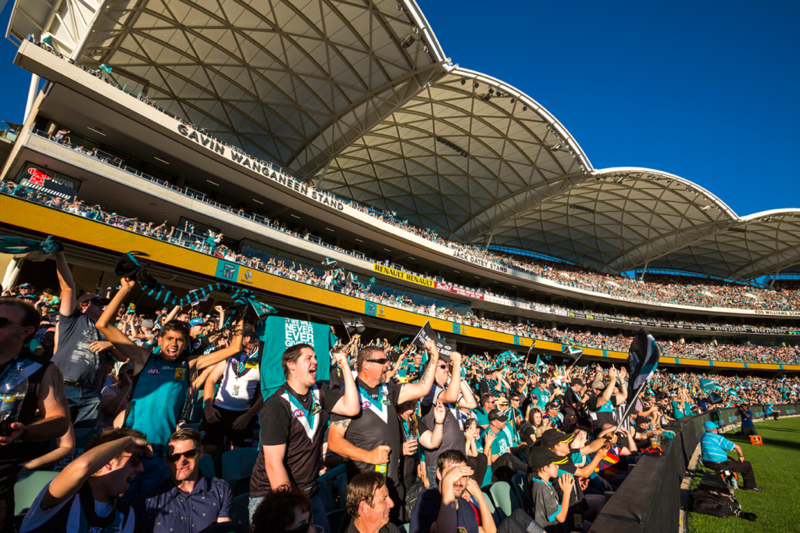 Scope of work included all bars, all corporate facilities and all ceiling and wall linings throughout the south and east stands. 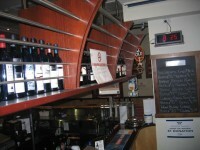 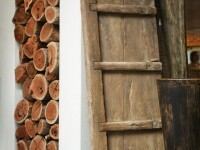 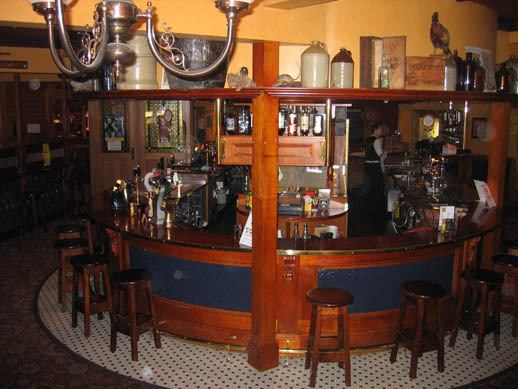 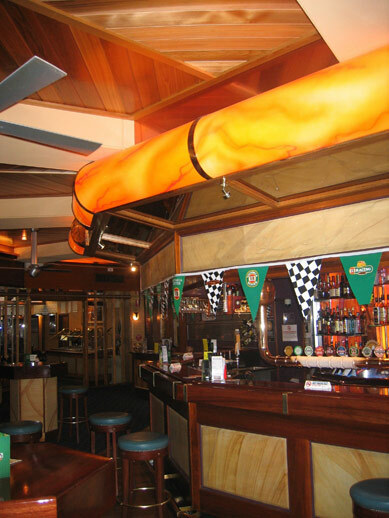 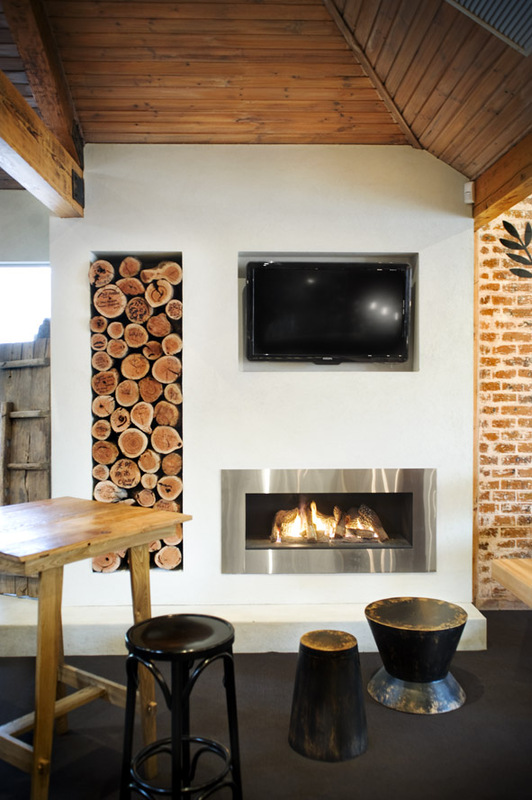 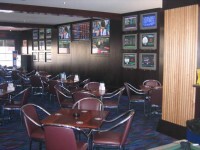 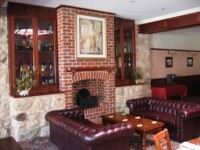 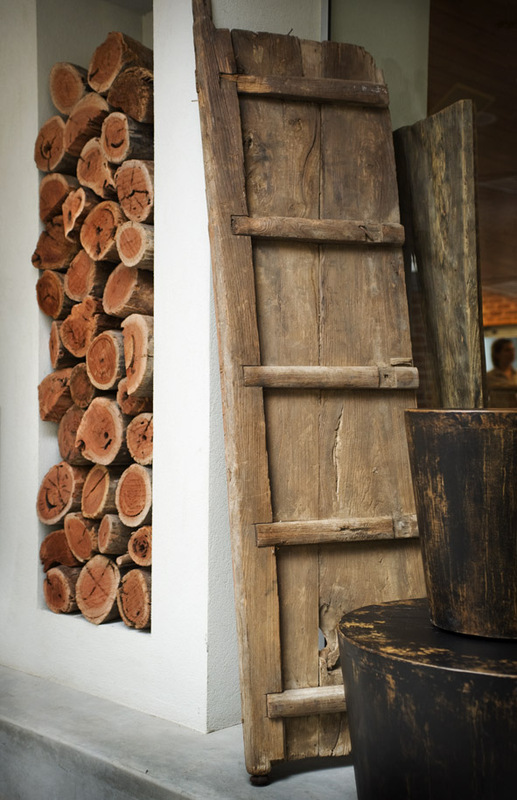 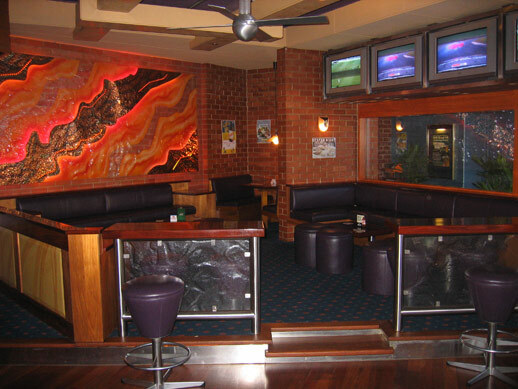 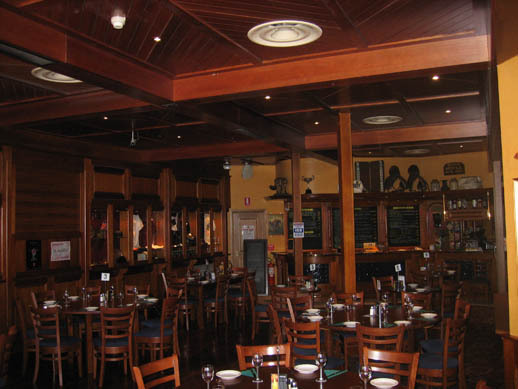 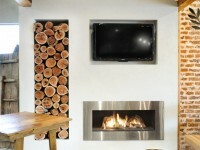 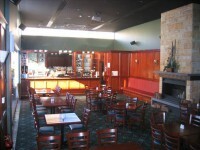 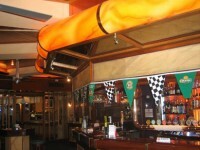 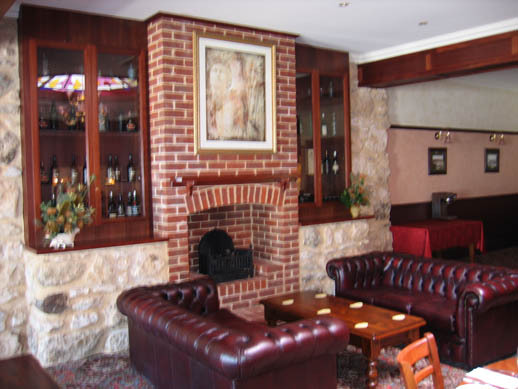 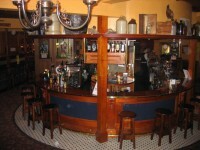 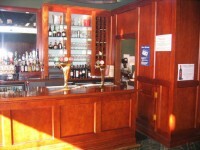 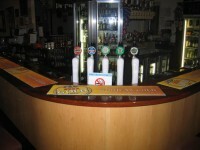 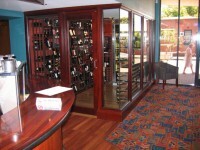 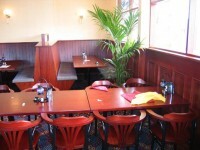 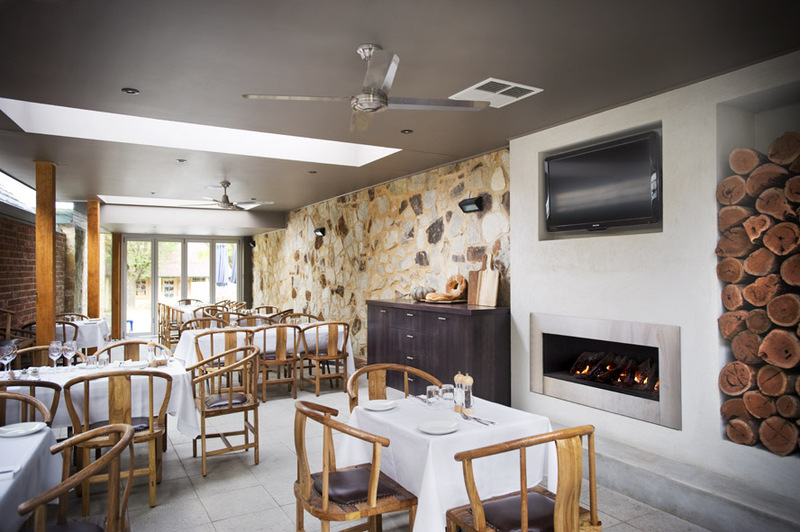 Solid timbers, ply woods, timber veneers, metal linings, all stone work, upholstery and wall and ceiling linings. 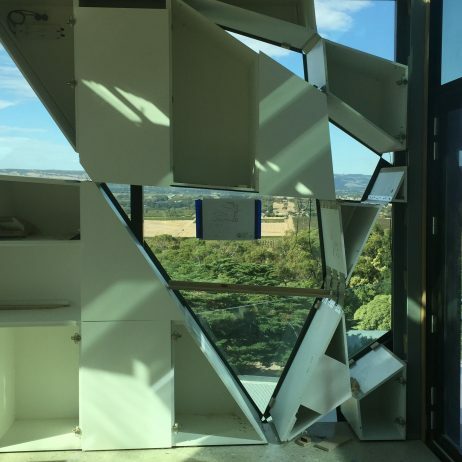 Please view our time lapse on the JRCM Home Page to appreciate the enormity of the project. 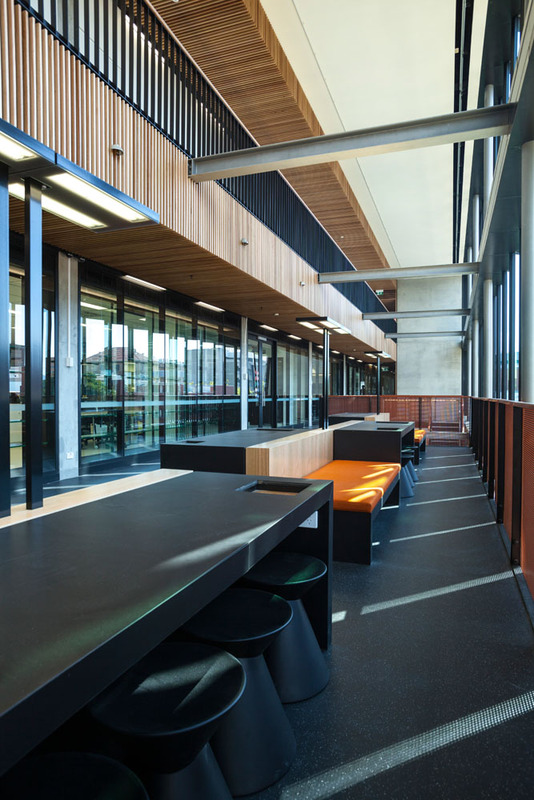 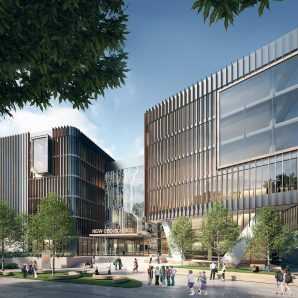 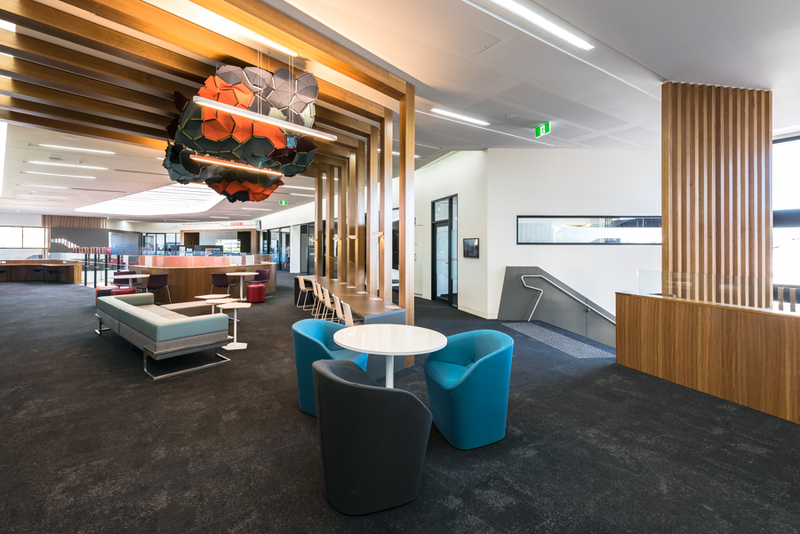 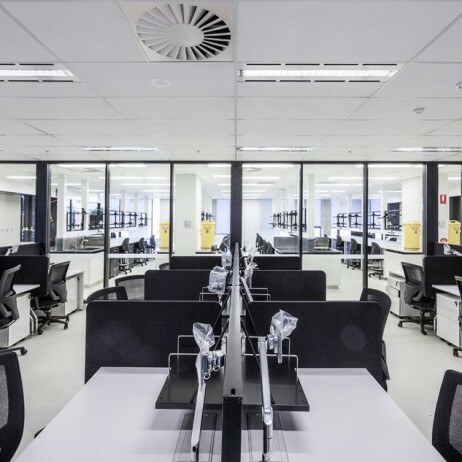 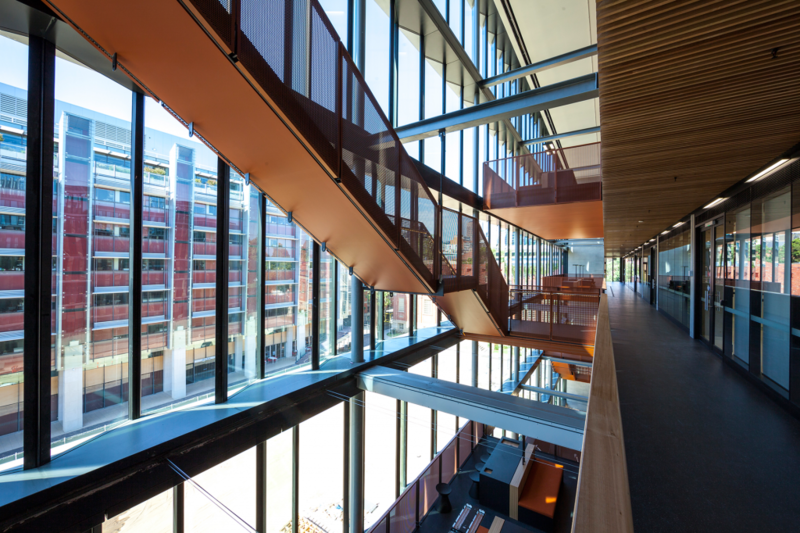 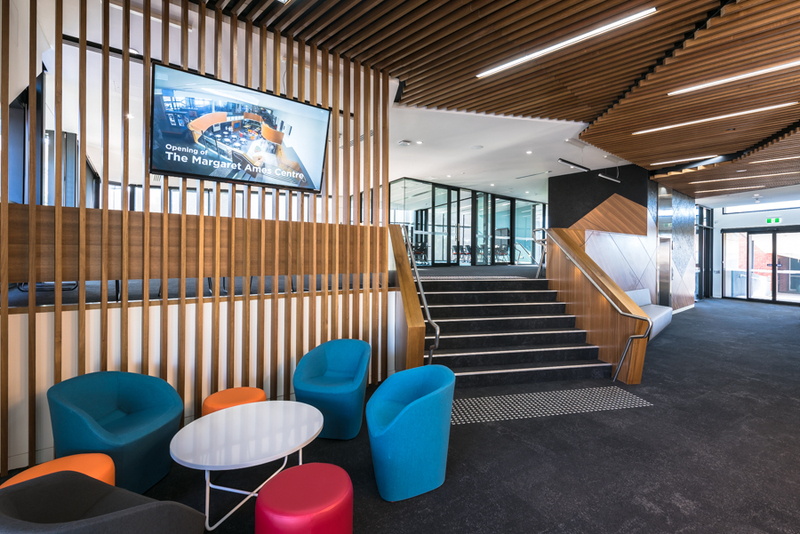 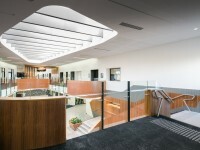 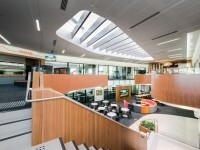 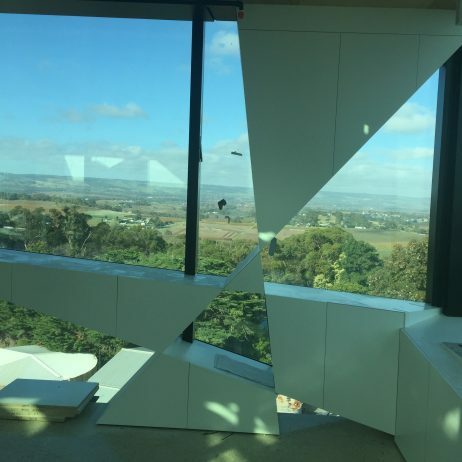 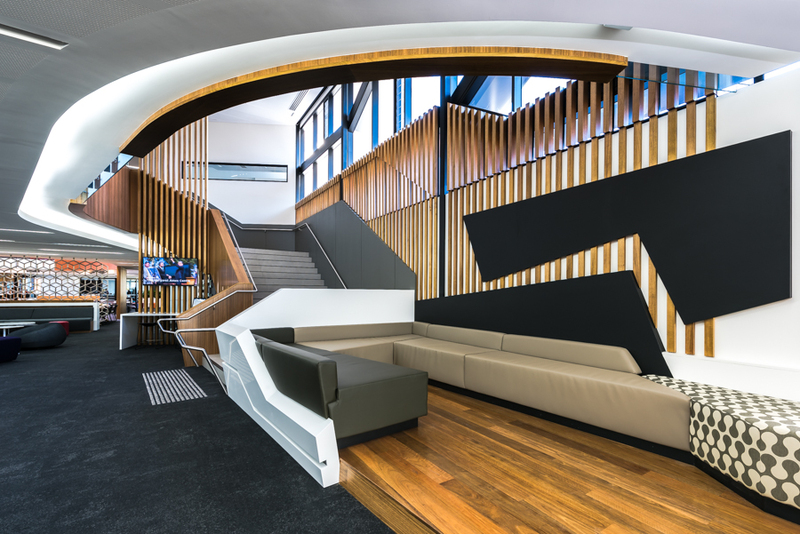 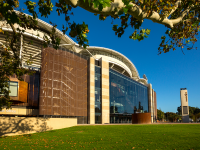 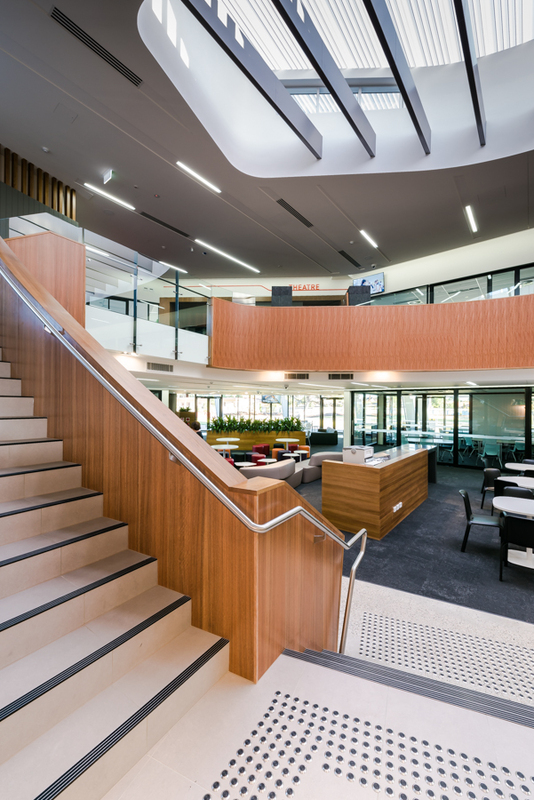 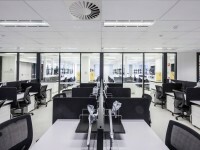 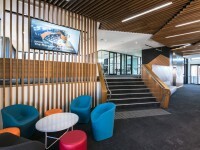 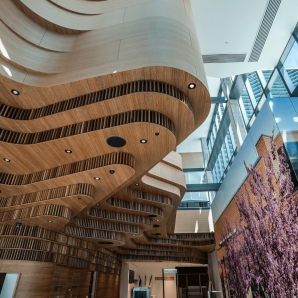 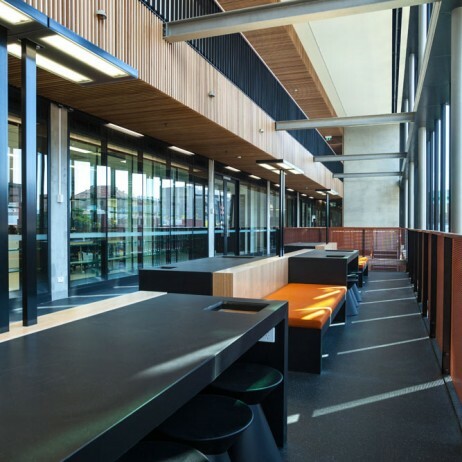 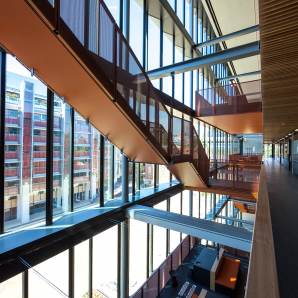 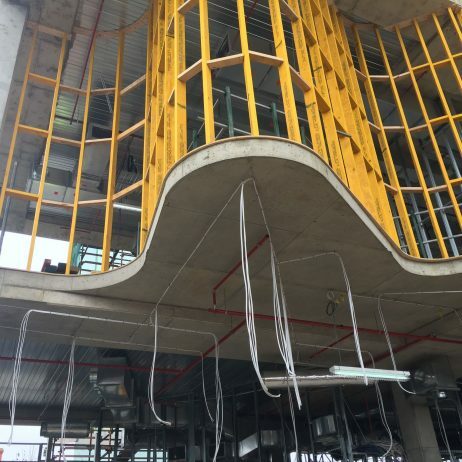 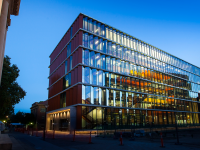 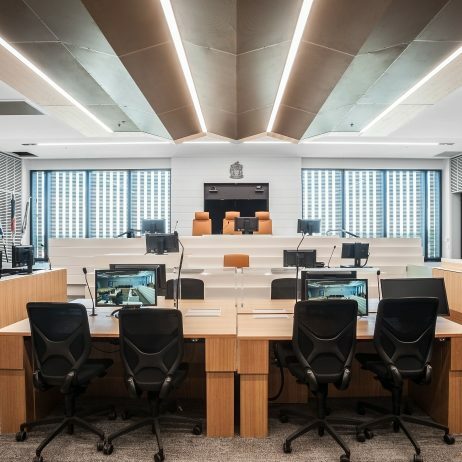 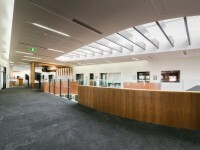 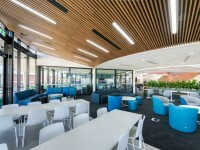 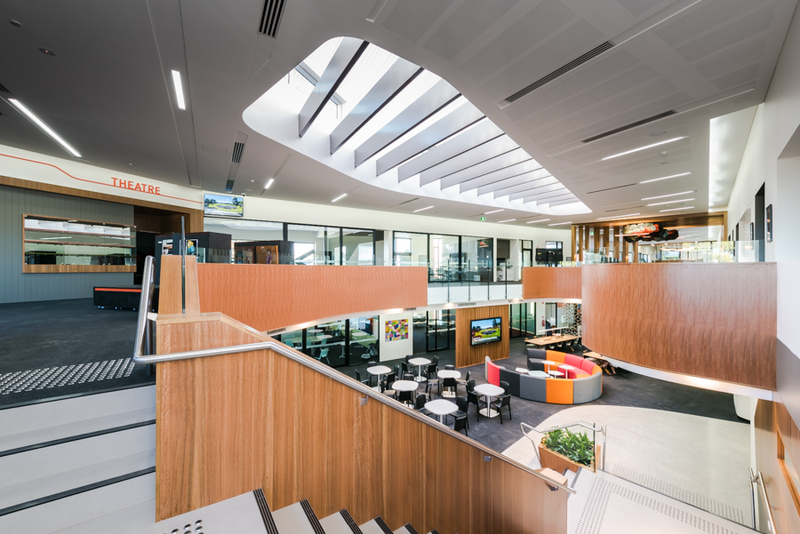 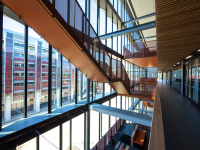 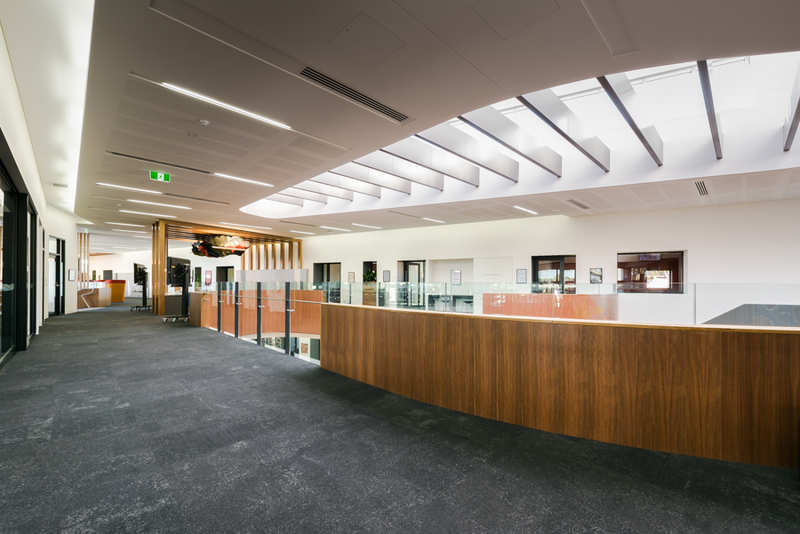 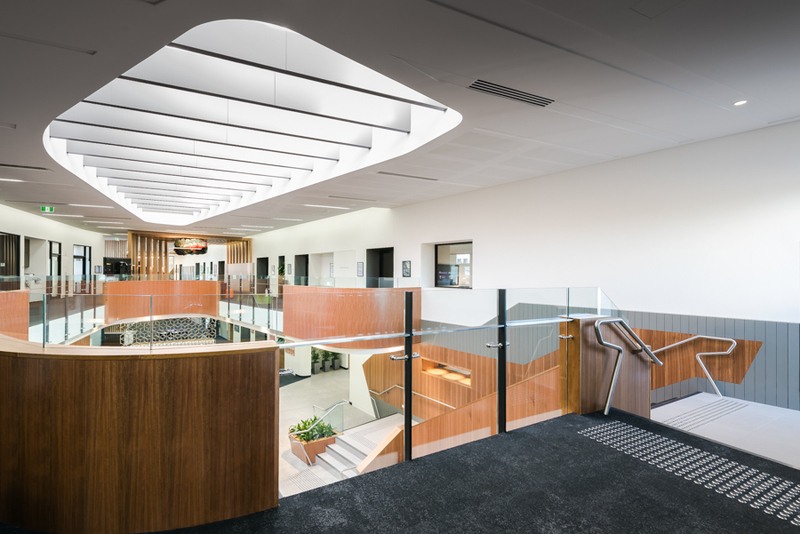 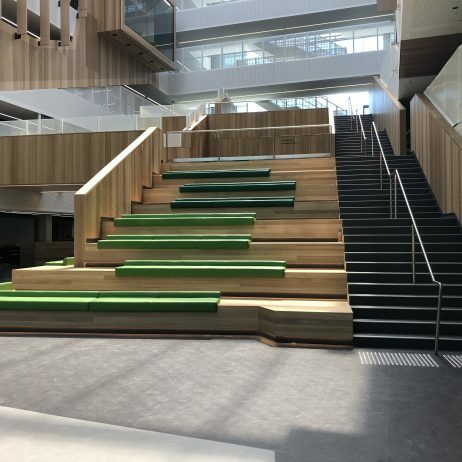 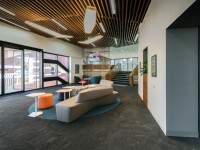 This project was part of a $73M major urban development, transforming the regional justice headquarters for Victoria’s Hume & Goulburn region, featuring six court rooms and related services across five levels. 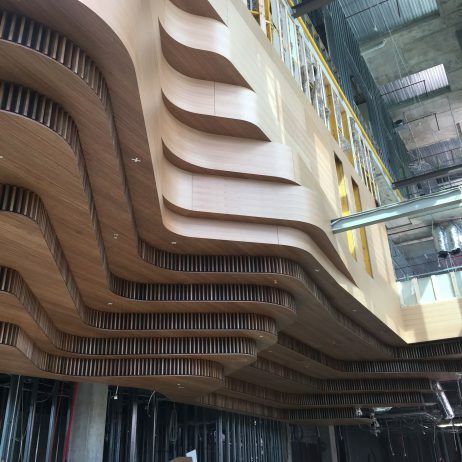 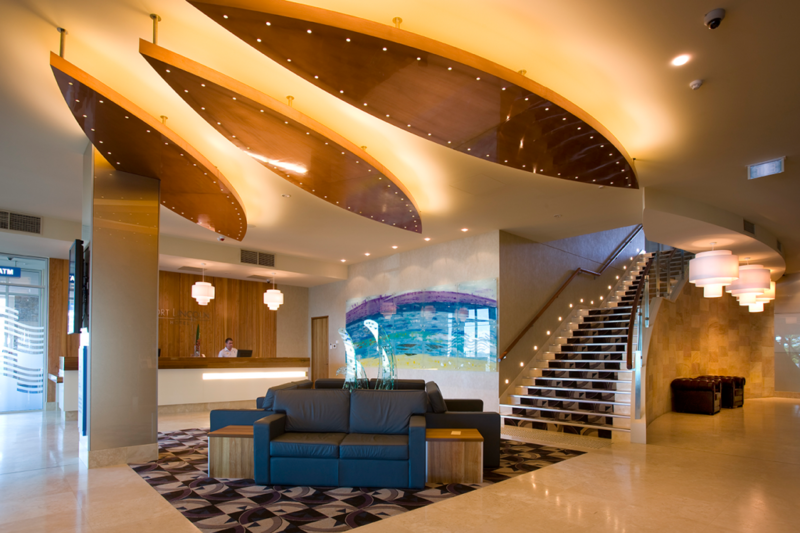 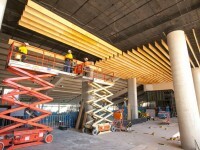 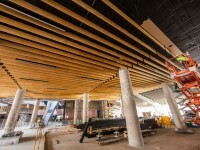 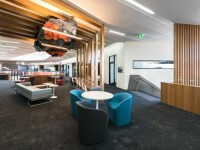 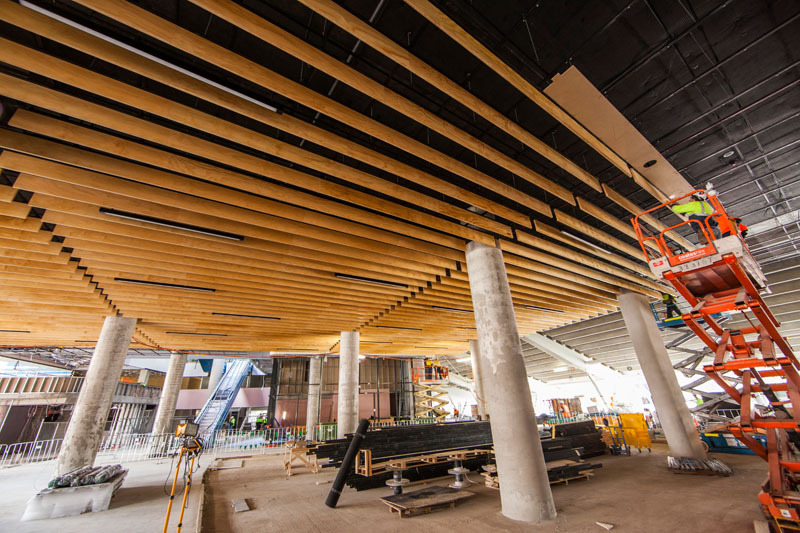 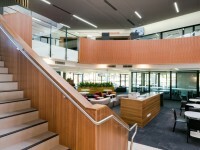 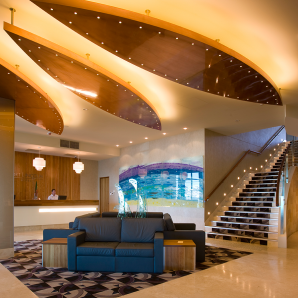 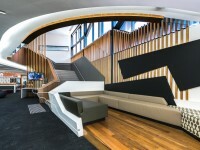 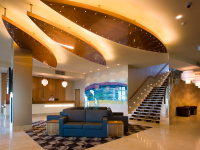 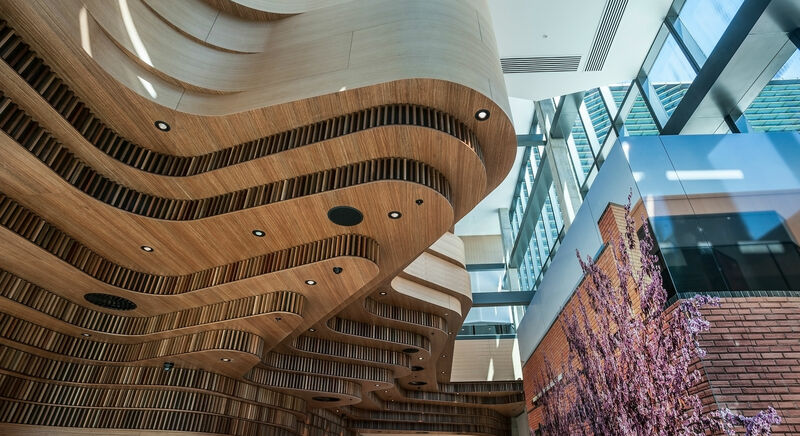 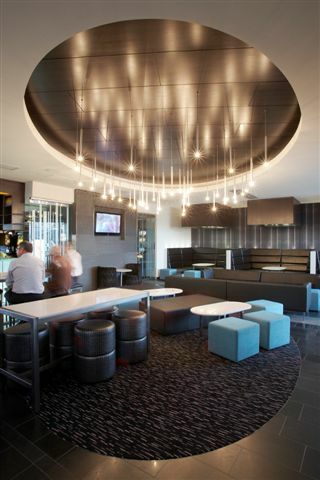 The centrepiece is the entry lobby inspired by the image of the ancient River Red Gum. 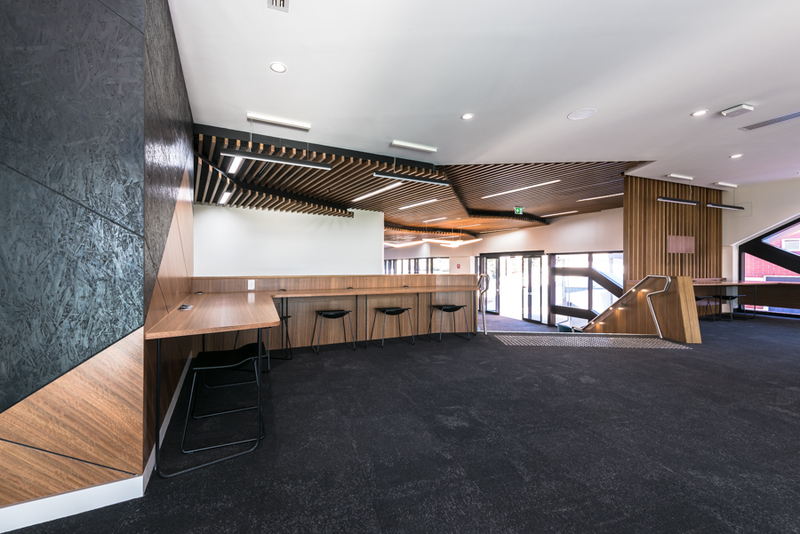 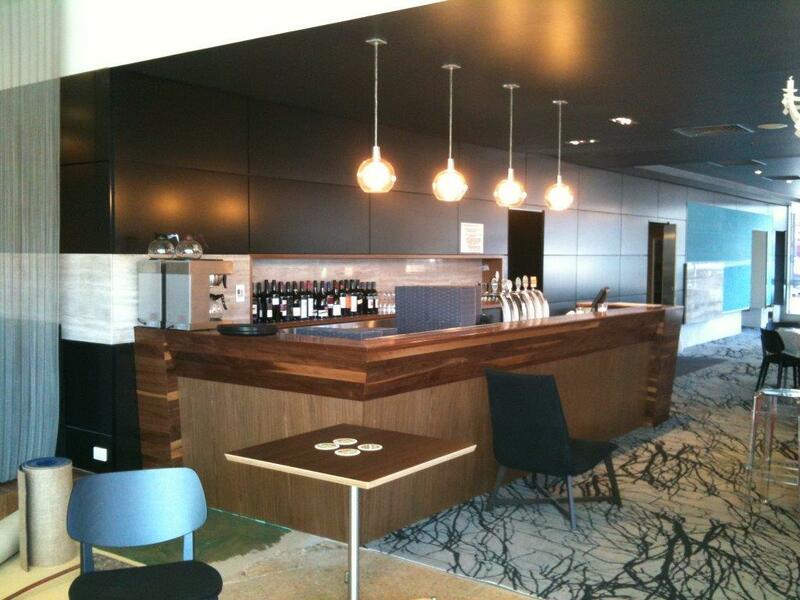 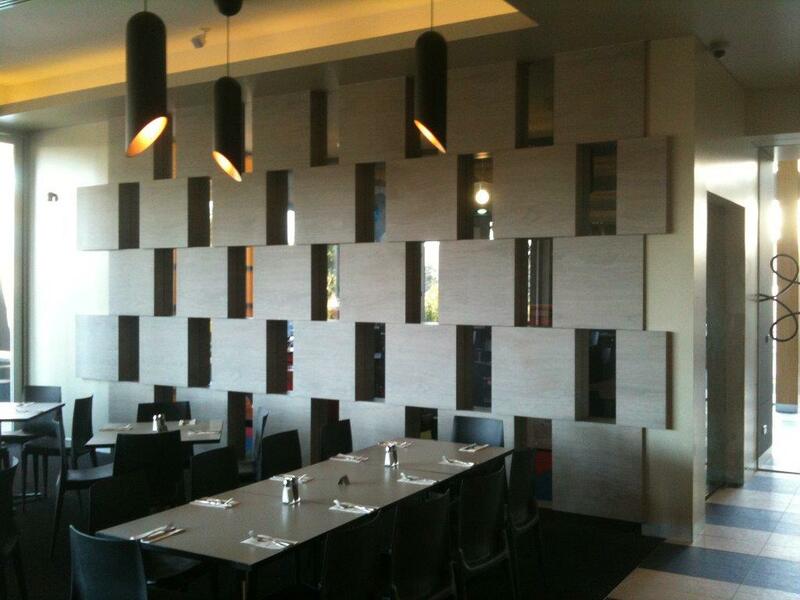 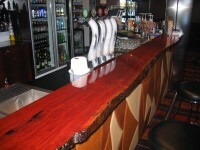 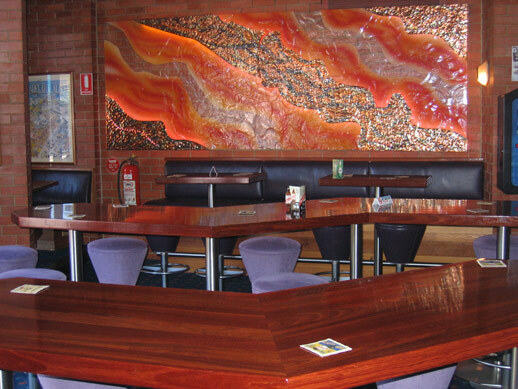 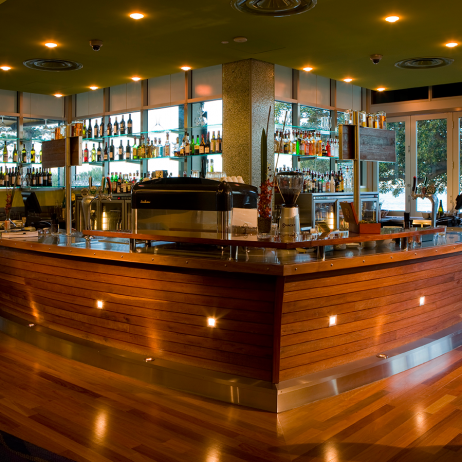 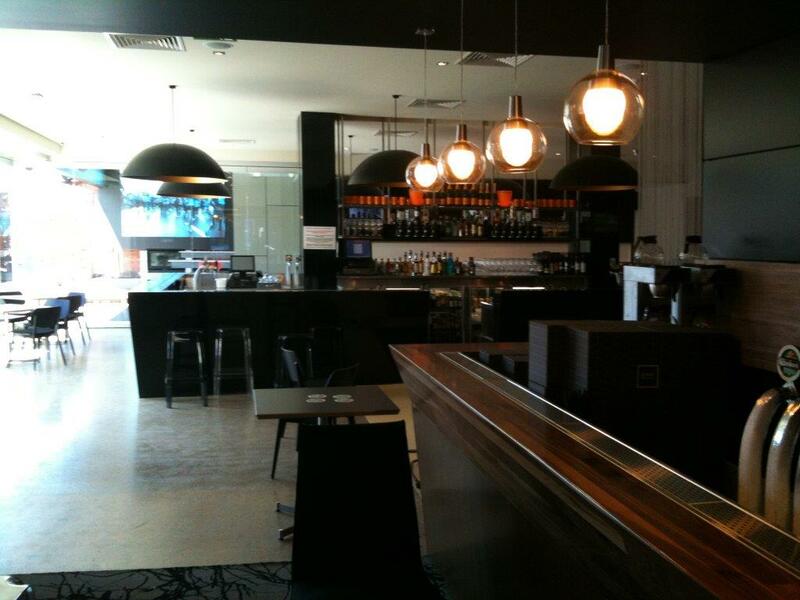 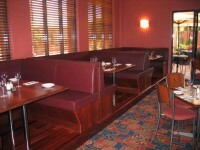 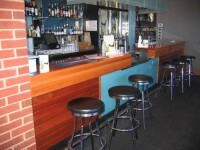 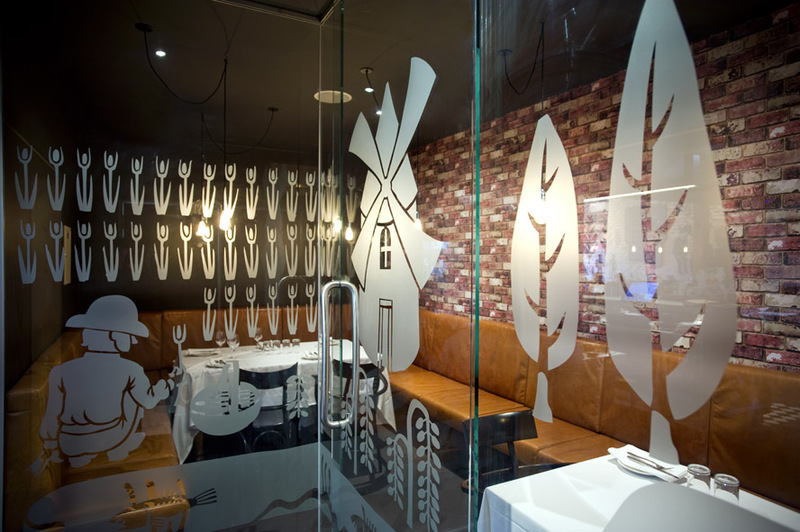 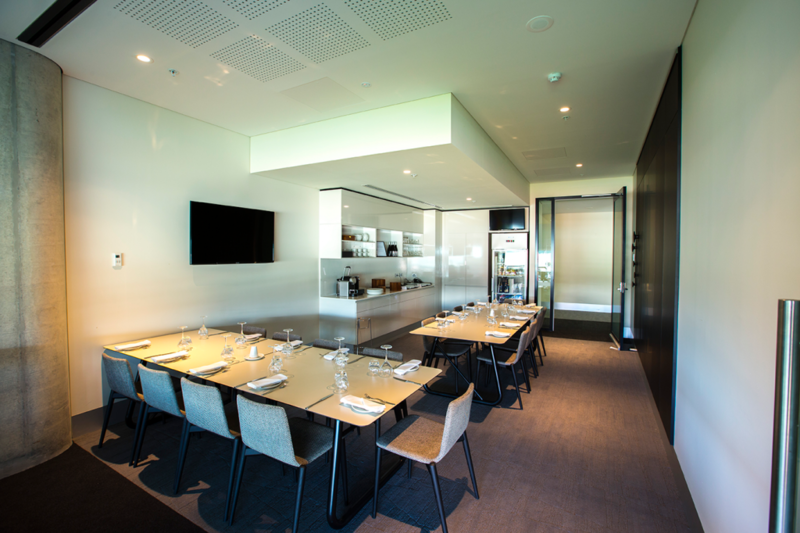 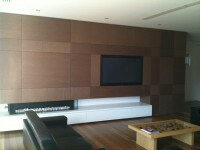 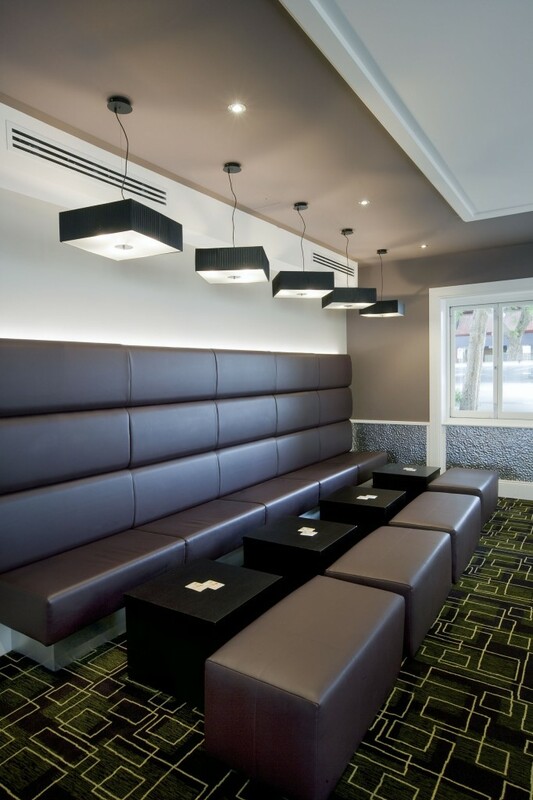 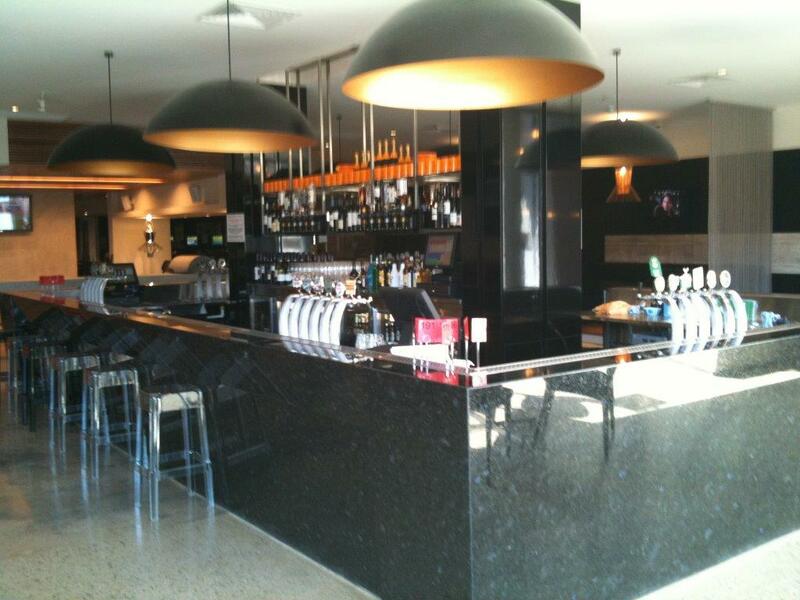 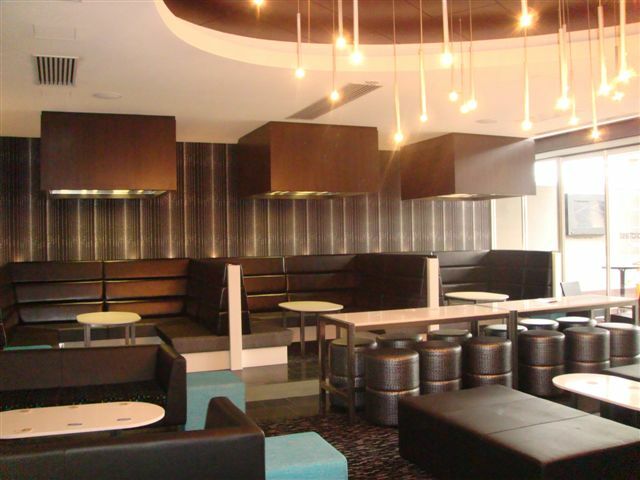 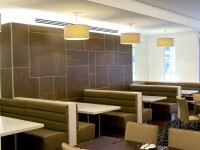 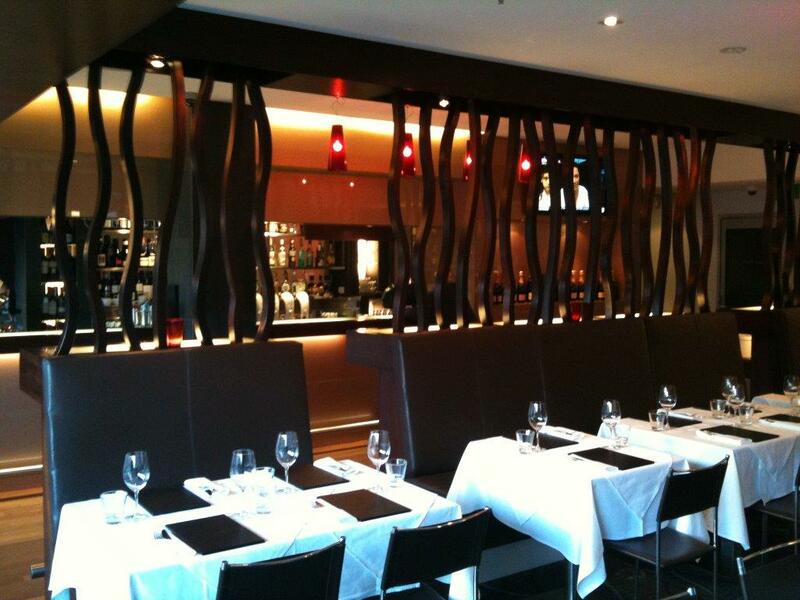 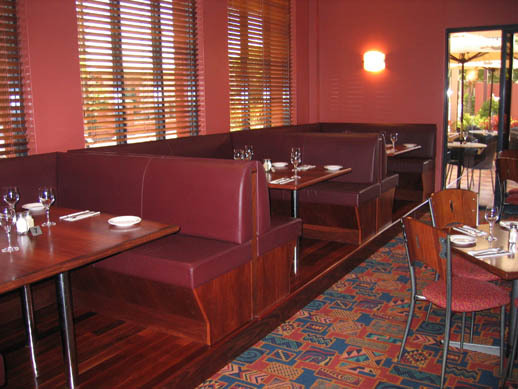 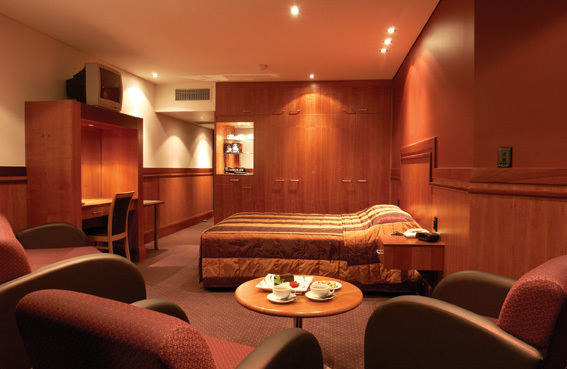 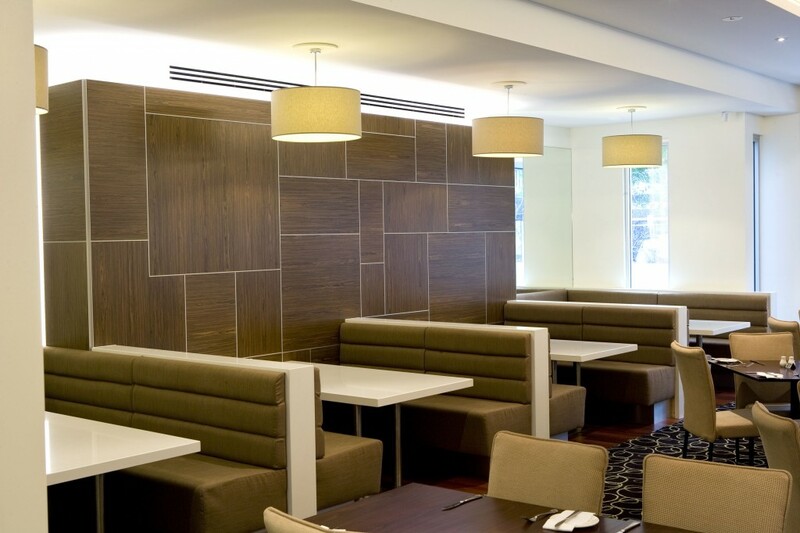 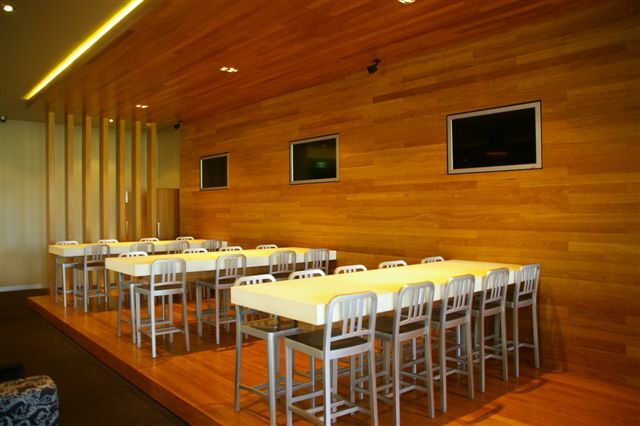 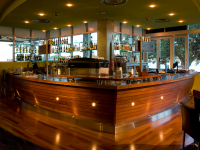 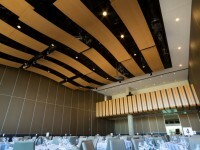 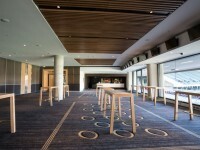 Spotted gum veneer, Tasmanian oak veneer, Corian surfaces, upholstery and wall panelling. 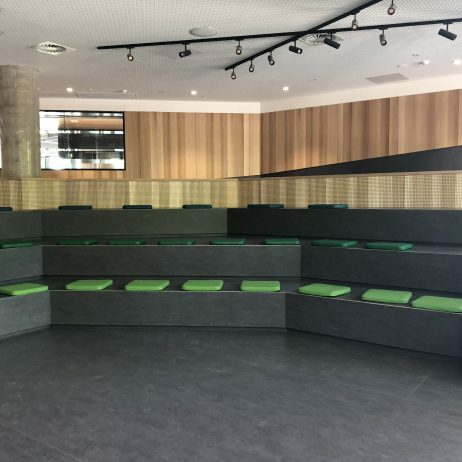 Adelaide Botanic High School located in Frome Street, Adelaide CBD, is the first truly vertical school in South Australia. 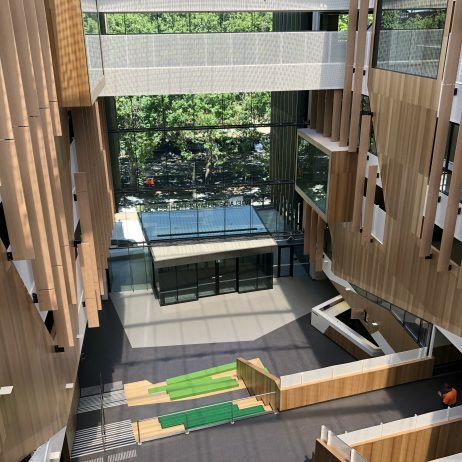 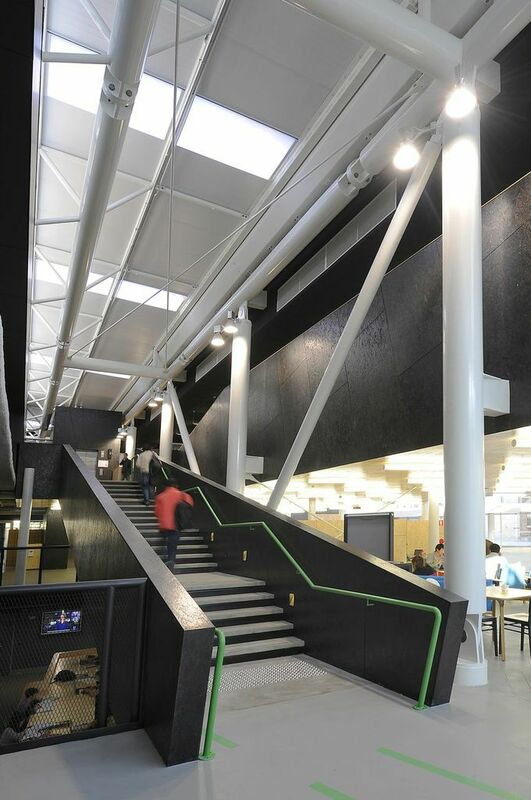 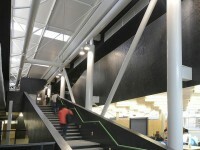 The design features the completely refurbished Reid building which boasts 6 learning levels plus a basement and open-planned plaza space at ground level. 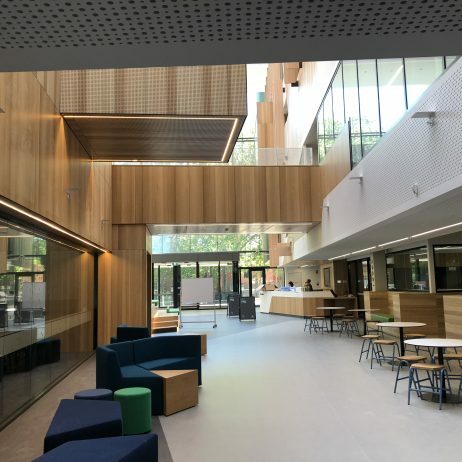 This building is linked by a glass atrium to a brand new 7 storey building also with a basement and rooftop terrace and includes state of the art science, design and technology laboratories which will underpin the school’s strong focus on STEM subjects. 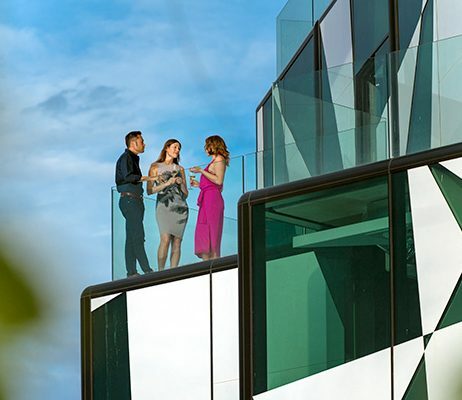 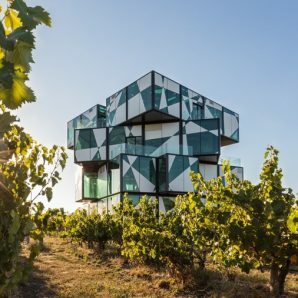 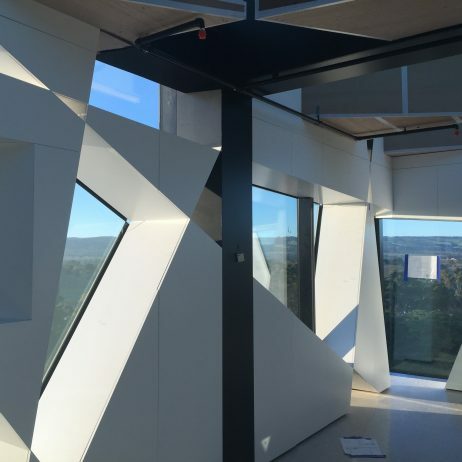 The iconic d’Arenberg Cube in McLaren Vale is a five storey multi-function building set among Mourvèdre vines. 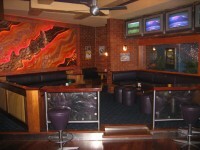 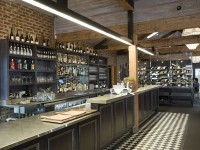 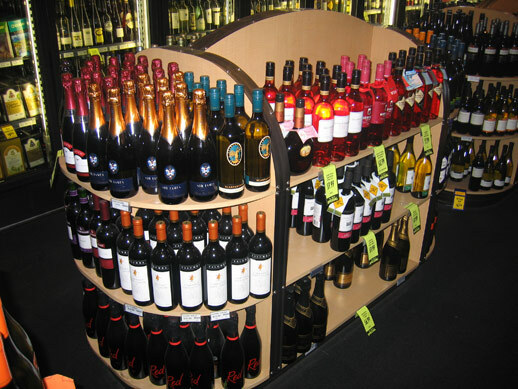 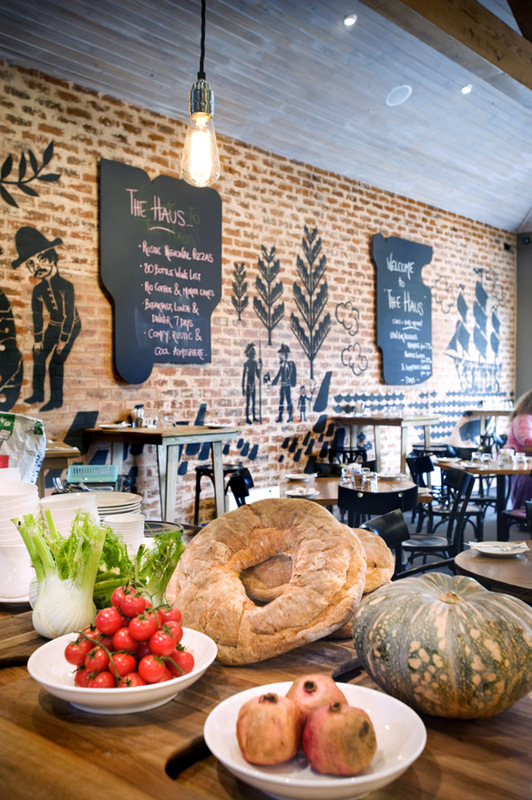 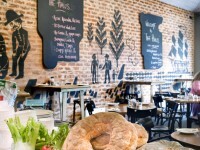 The building includes public and private tasting rooms, several bars, an art gallery and a restaurant. Located in Myrtle Bank, the 5 level, architecturally-designed facility includes a mix of premium retirement apartments and residential aged care suites, Carmelite sets a new benchmark for the delivery of retirement living in Adelaide. 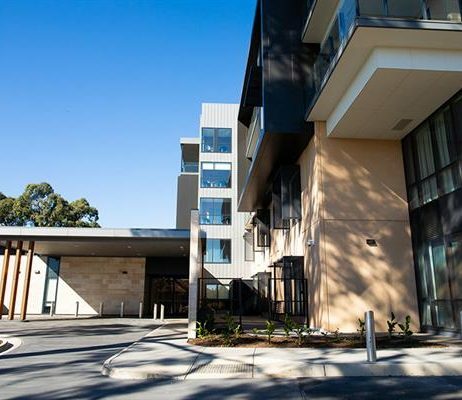 The 5-storey development features 73 residential care units, 38 two-bedroom assisted living units and areas for allied health services, including a therapy pool. 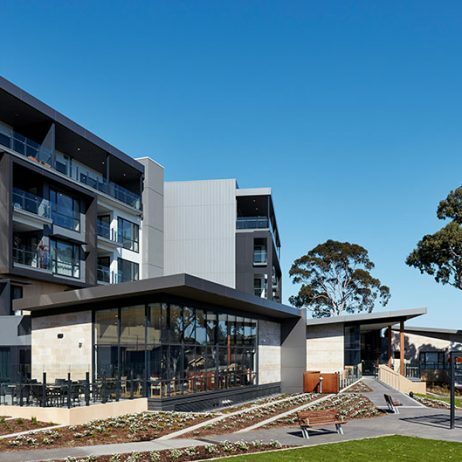 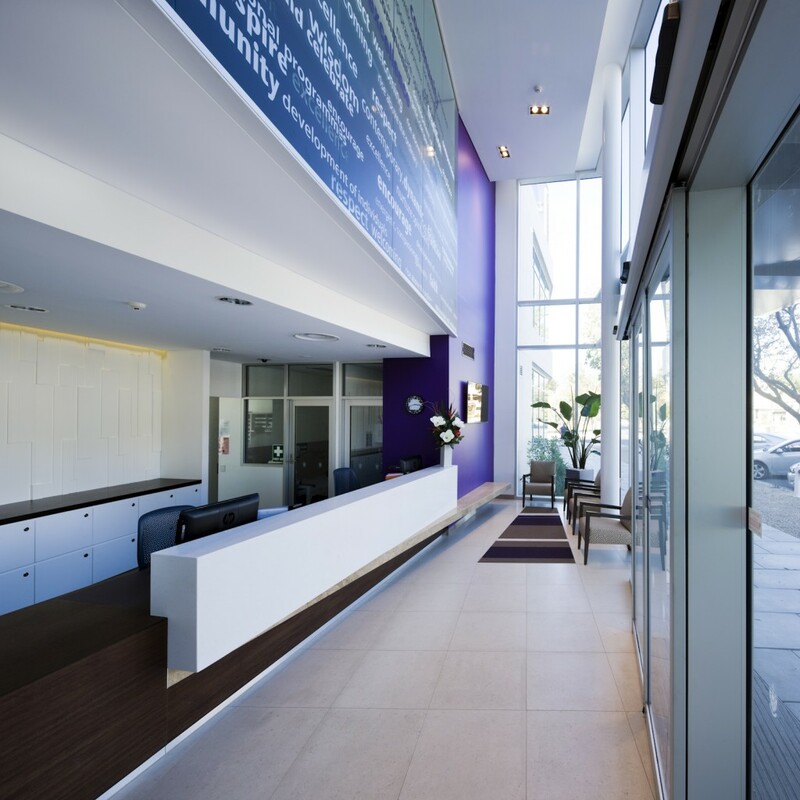 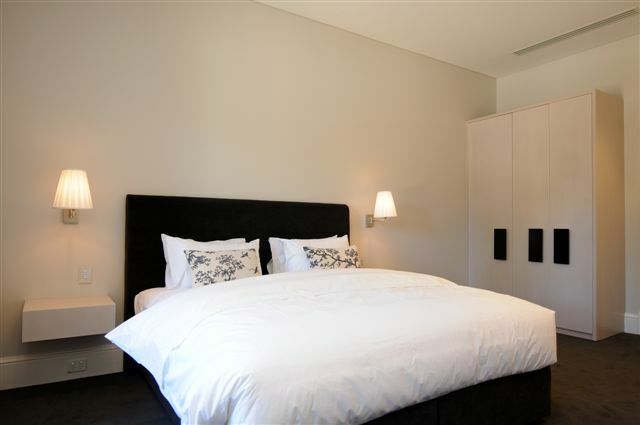 The vertically integrated style of apartments and aged care accommodation, combined with state of the art facilities, is a first of its kind in South Australia. 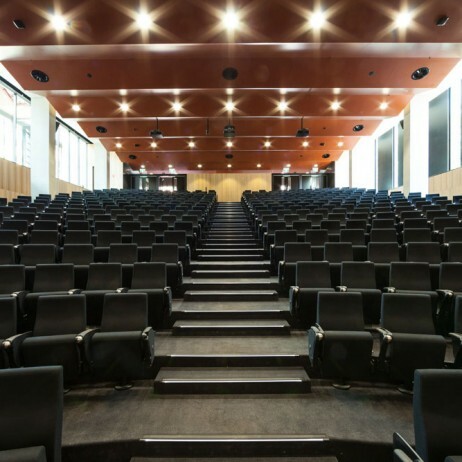 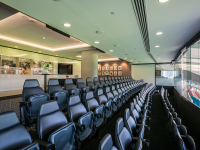 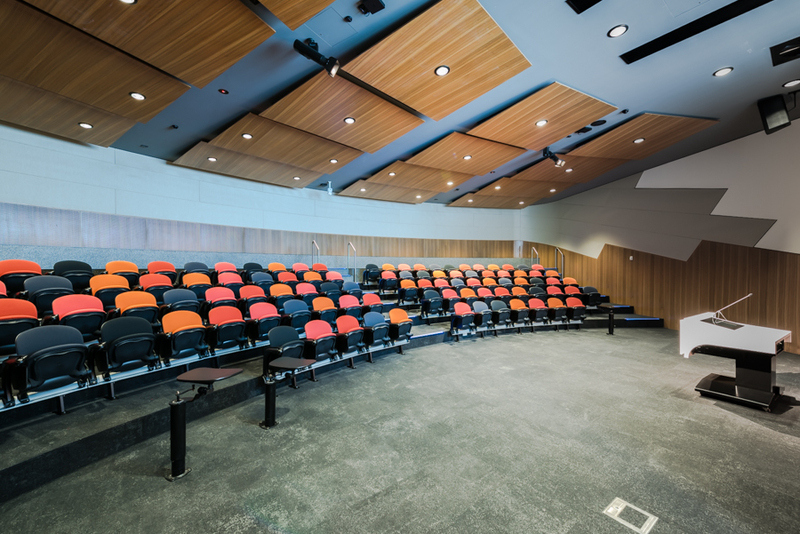 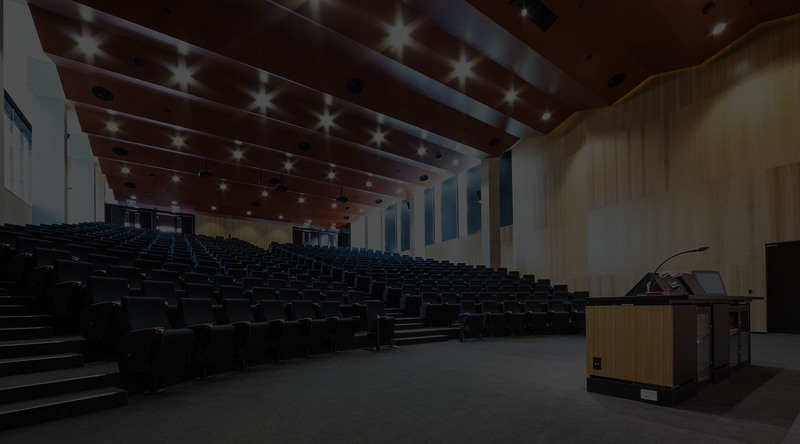 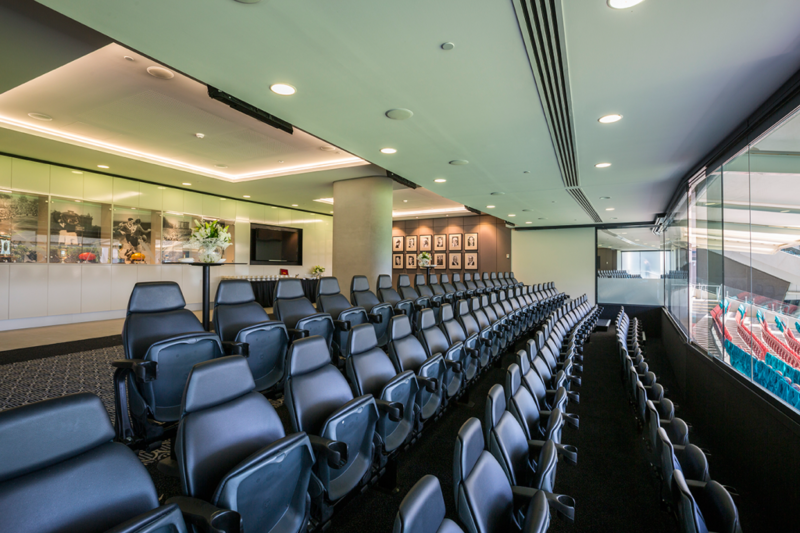 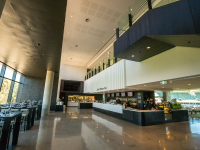 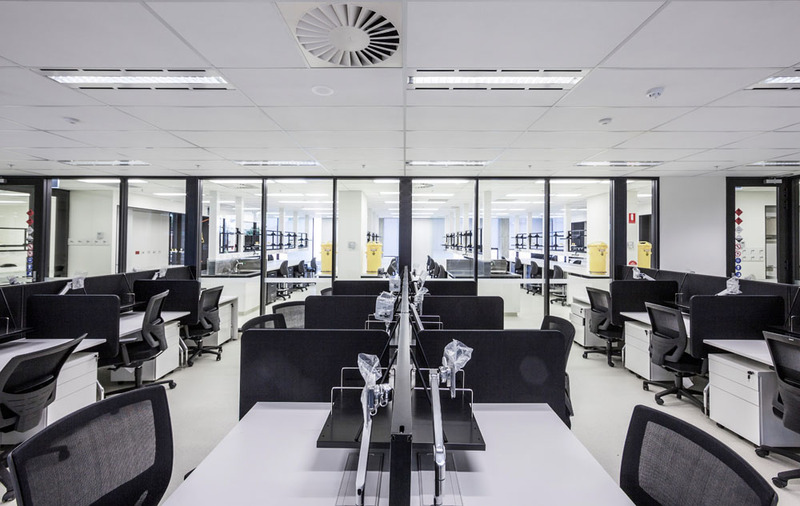 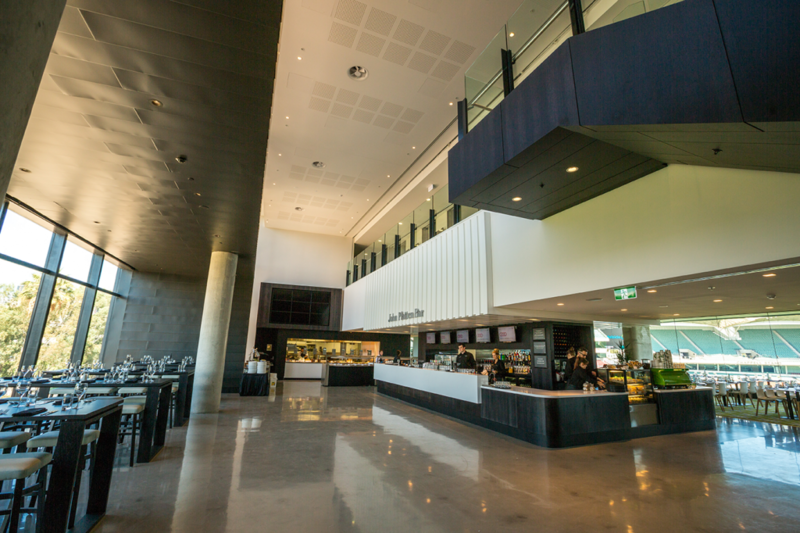 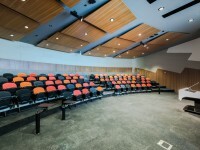 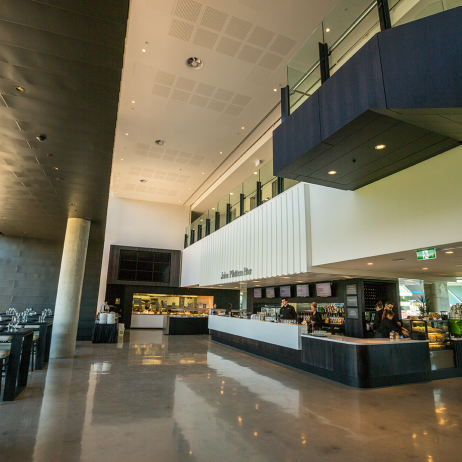 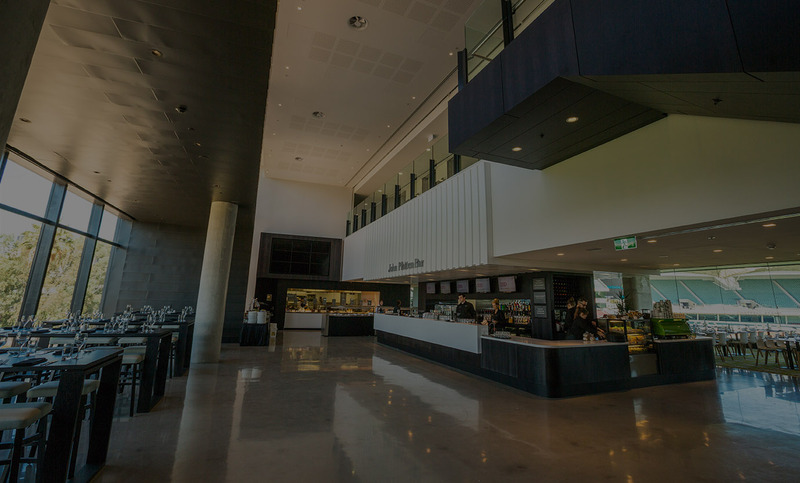 Lecture theatre fitout including acoustic wall and ceiling finishes throughout, office fit-outs, wall linings throughout, compact laminate benches, upholstered seating throughout and glass display cabinets. 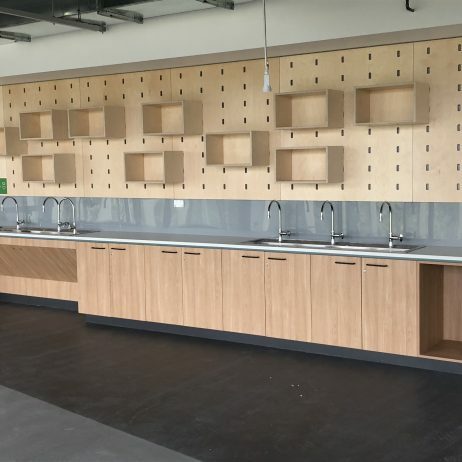 Stainless steel laboratory sinks and benches, chemical resistant laminates, timber veneer finishes, compact laminates, upholstery and glazed display cabinets. 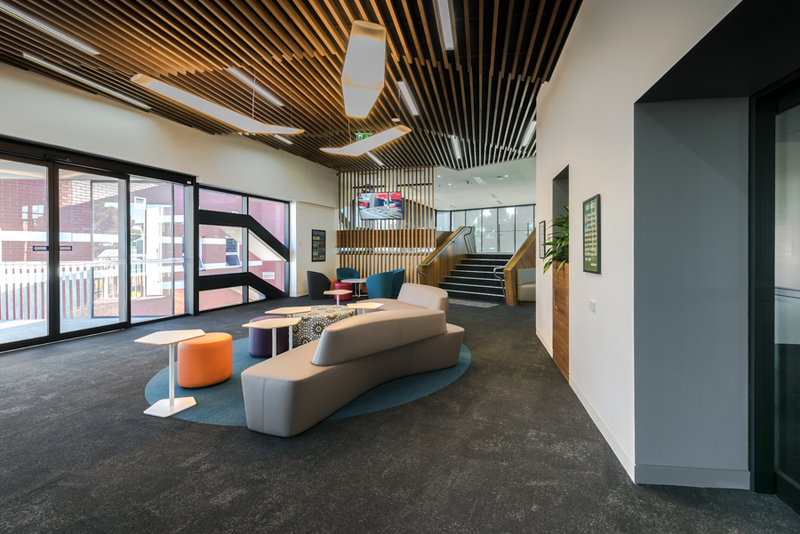 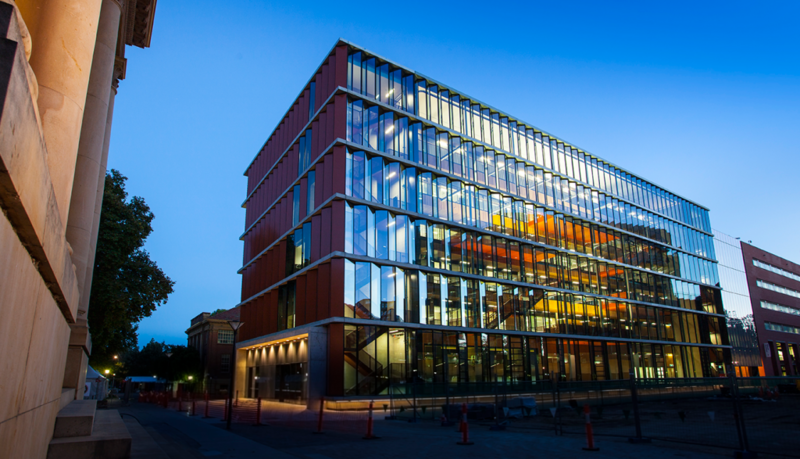 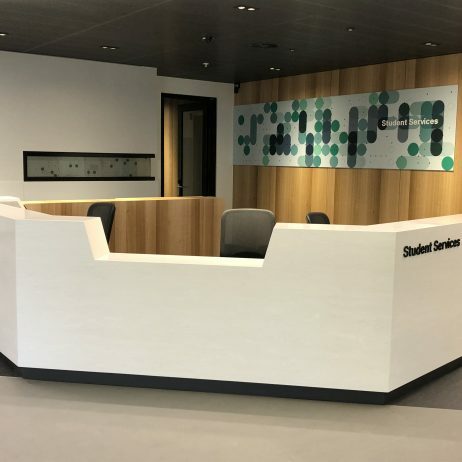 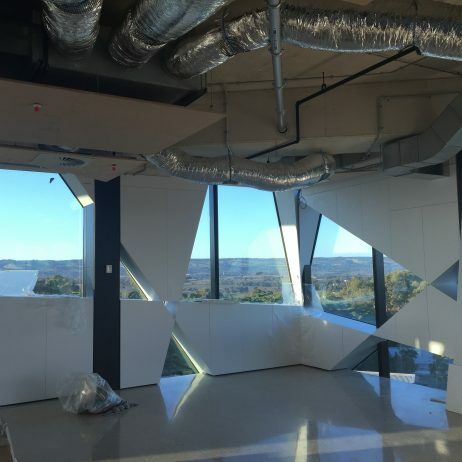 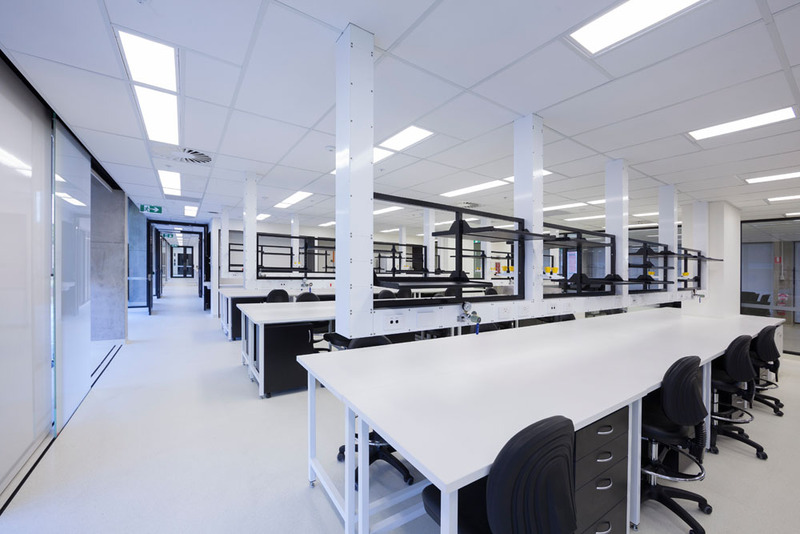 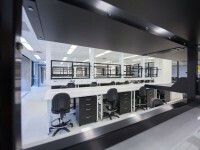 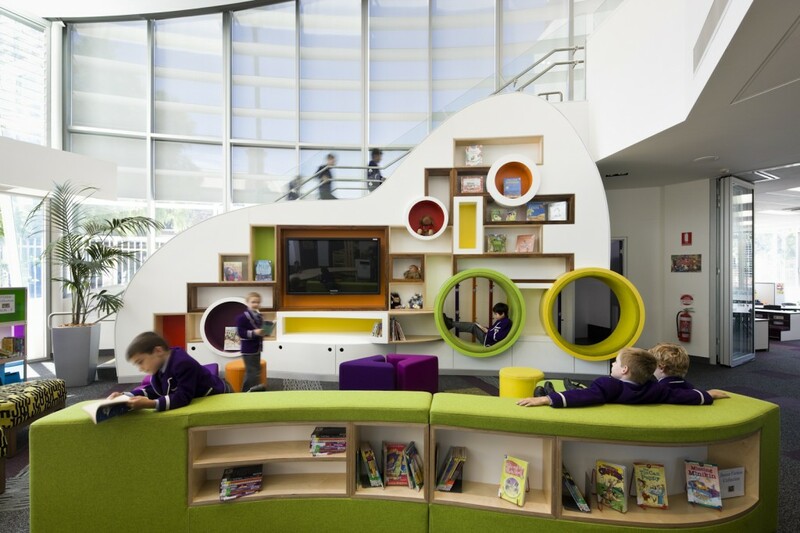 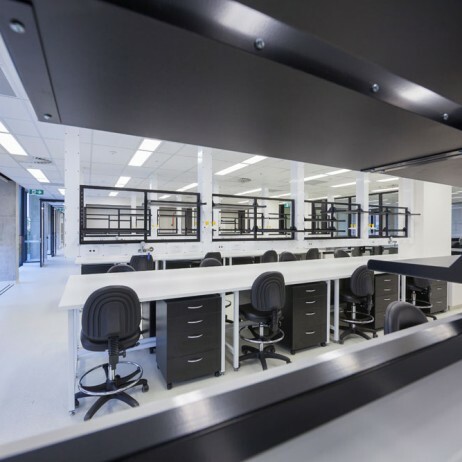 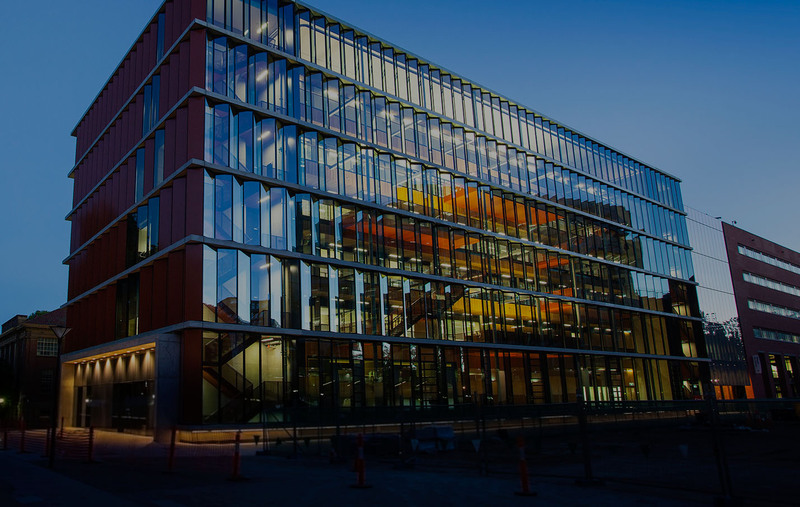 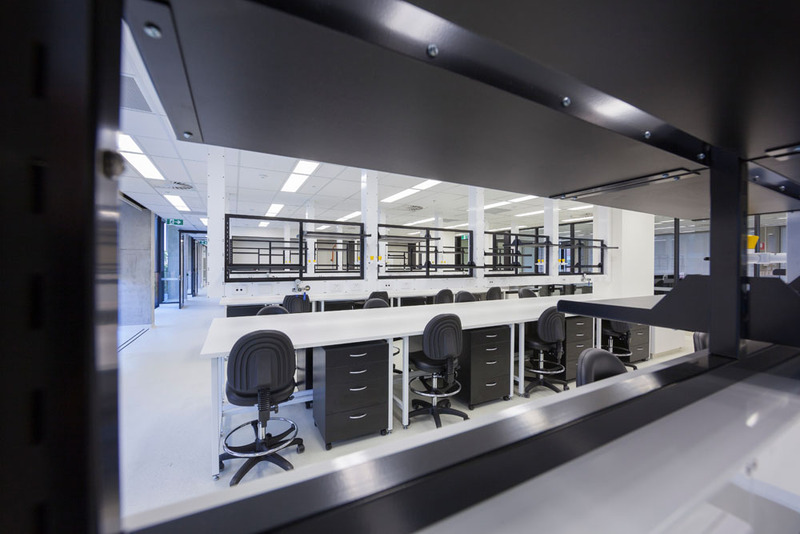 This project was a state of the art build using eco-friendly materials to produce a modern and user friendly environment predominantly for the development of fibre optic technology. 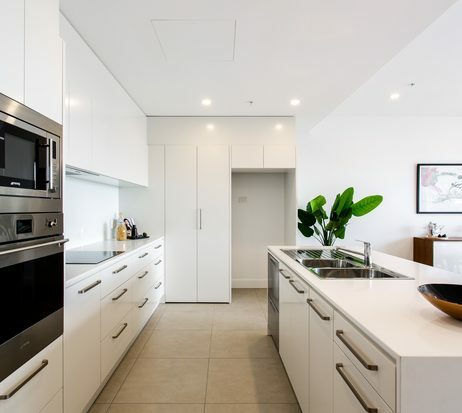 Glass fronted kitchen, butler’s pantry, home studio, home theatre room, robes and bedroom fit-outs, bathrooms and ensuite’s, wall linings and bulkheads throughout and outdoor kitchen joinery. 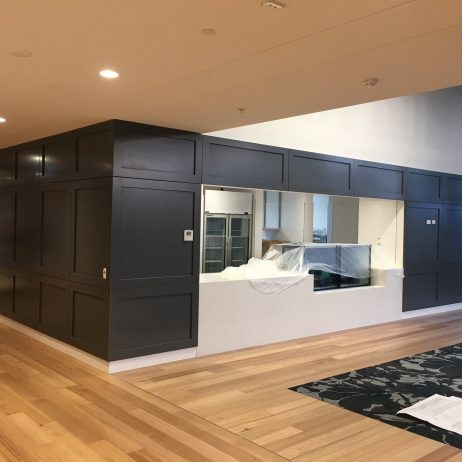 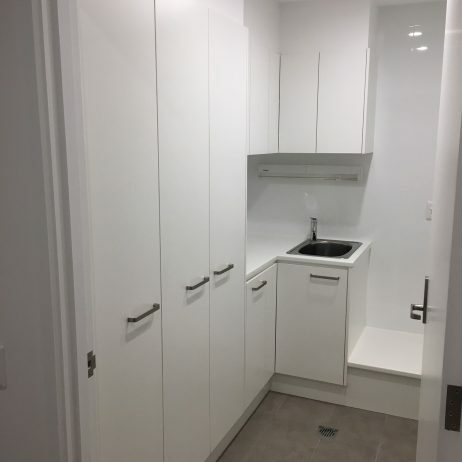 Timber veneers, colour back glass, upholstery, powder coated steelwork, two pack finish cabinetry, Corian, Granite, Caeserstone and soft close drawers in pantry. 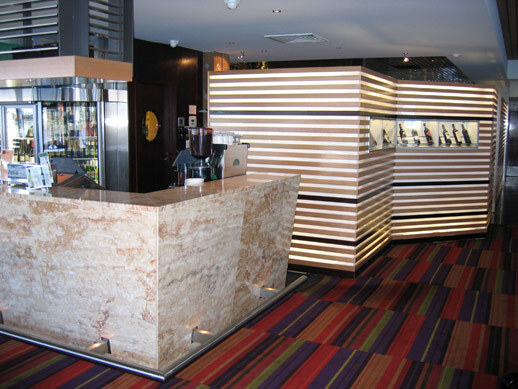 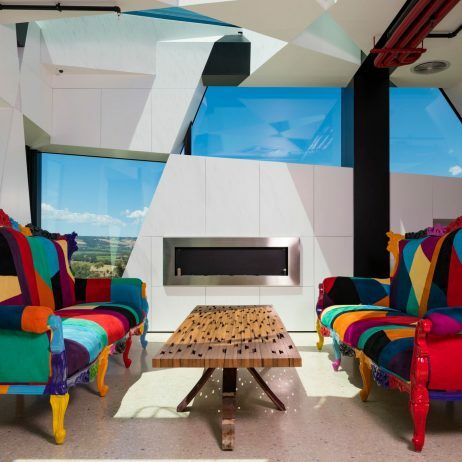 The hotel fit-out included 111 rooms of accommodation, four function rooms, four bars, reception area and feature wall and ceiling linings. 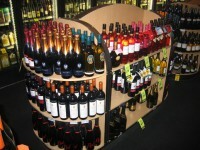 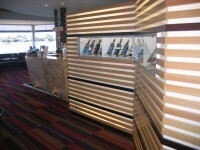 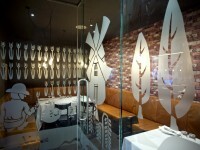 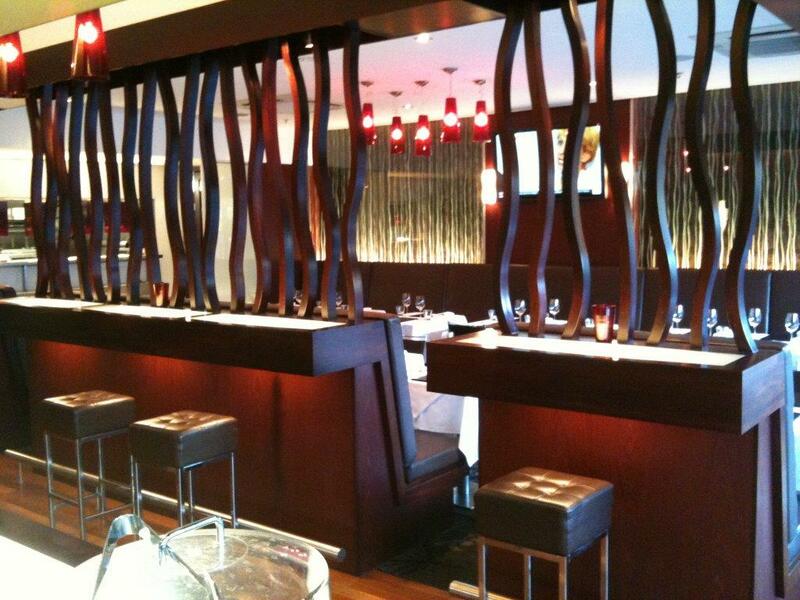 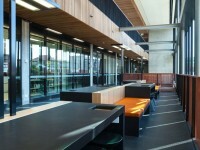 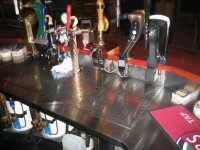 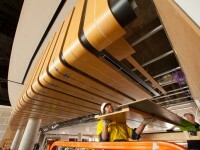 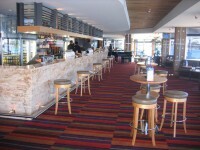 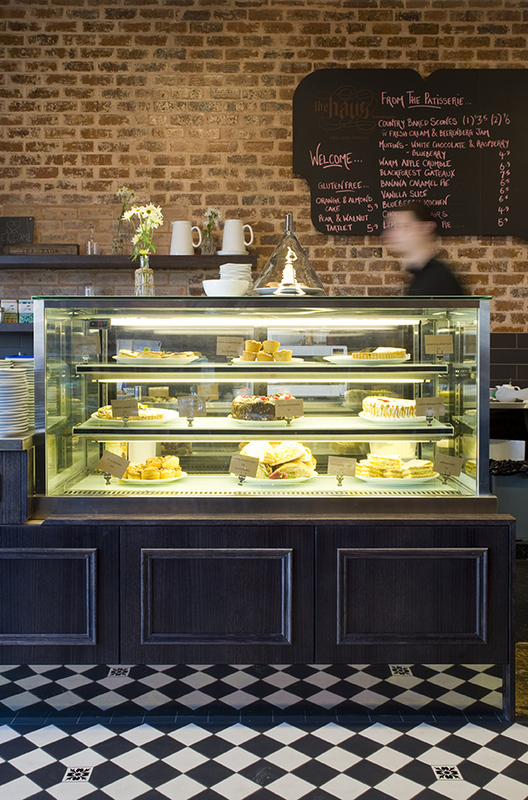 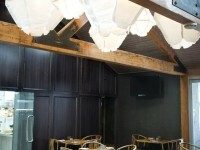 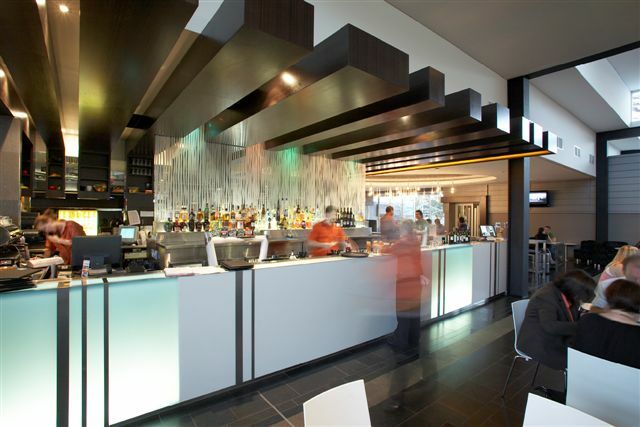 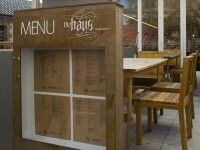 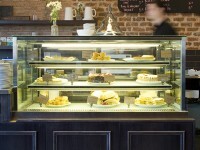 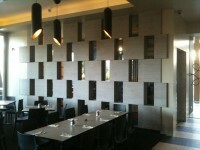 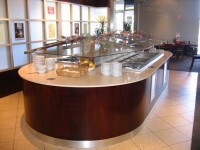 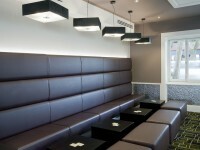 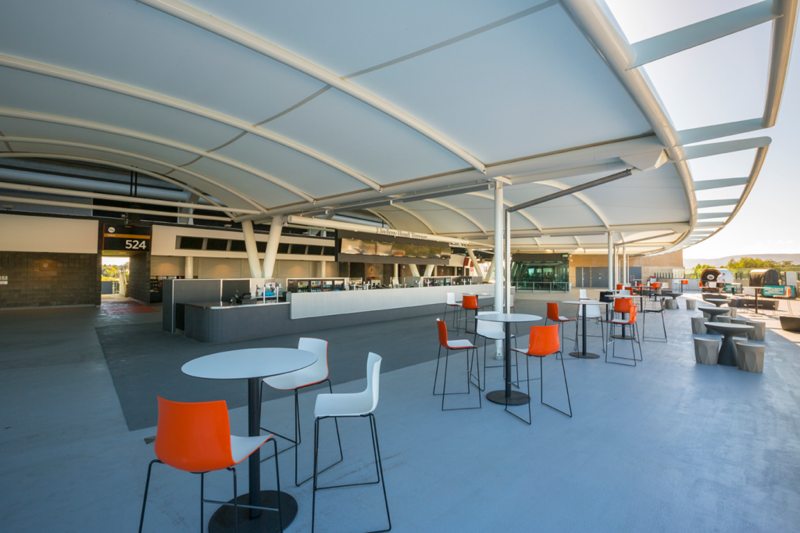 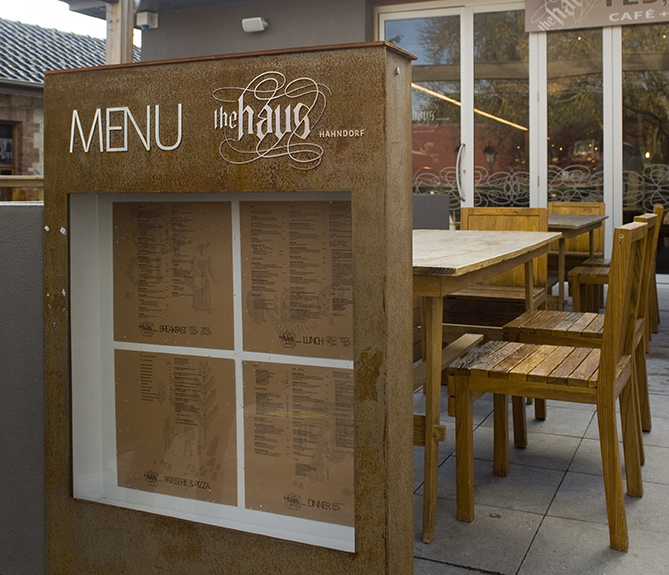 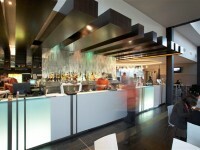 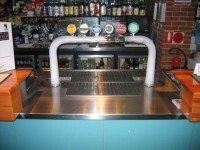 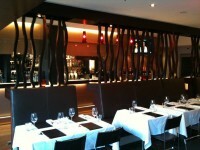 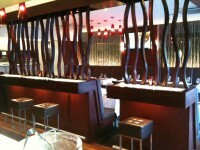 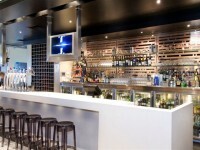 Stainless steel, upholstery, glass, recycled timbers, timber veneers, laminate, Perspex and plastics and copper sheeting. 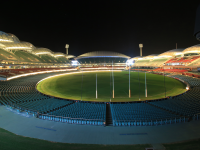 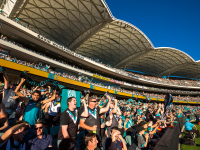 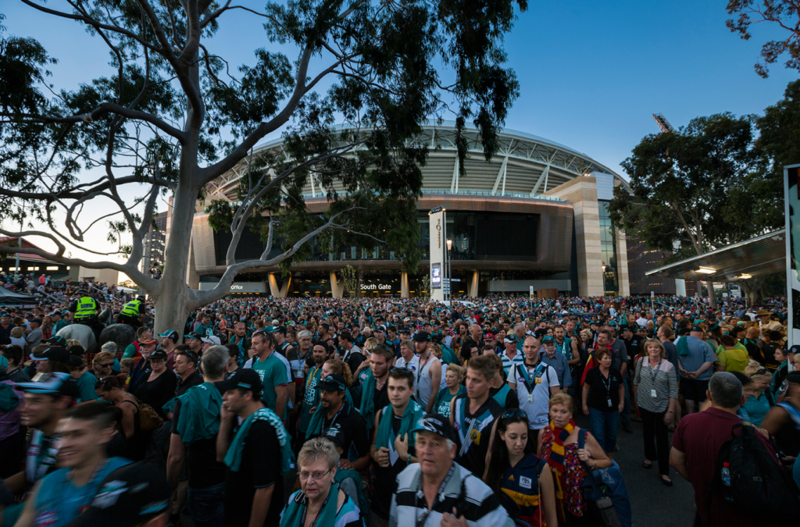 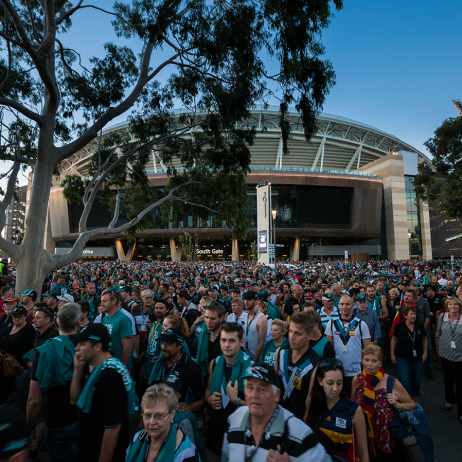 Fantastic development for regional SA. 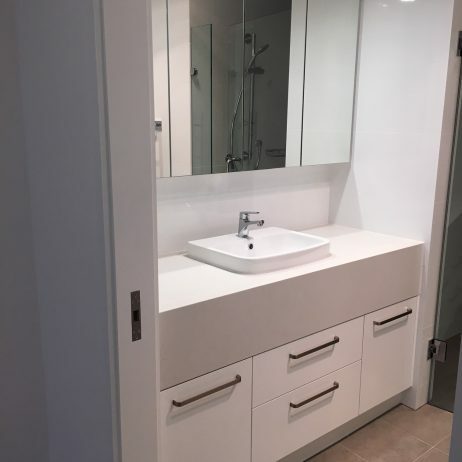 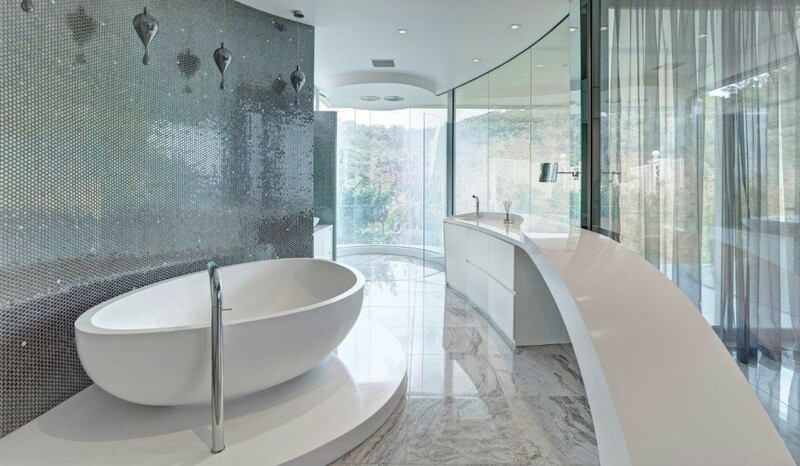 Our professional team comprises over 45 full time staff, including estimators, project managers, OH&S personnel, cabinet makers, carpenters, furnisher polishers, installers and apprentices. 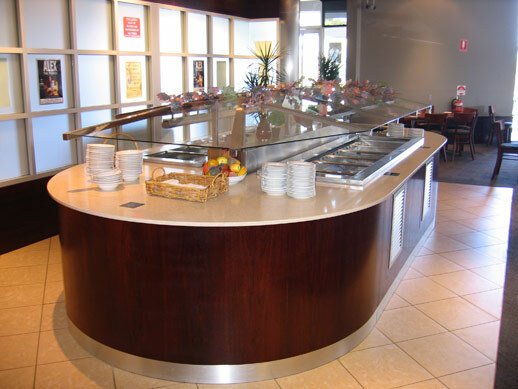 Many of our employees have been with the company for over 10 years. 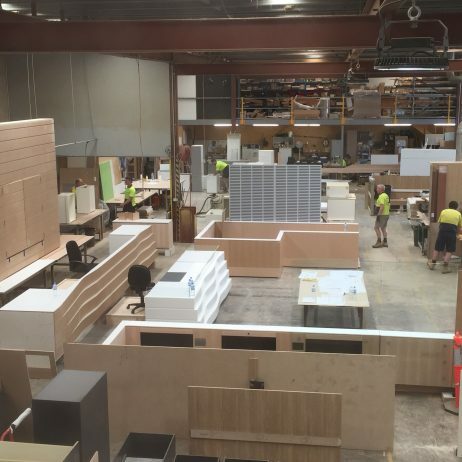 We currently employ 4 apprentices who are undertaking their studies on site in the furnishing trade. 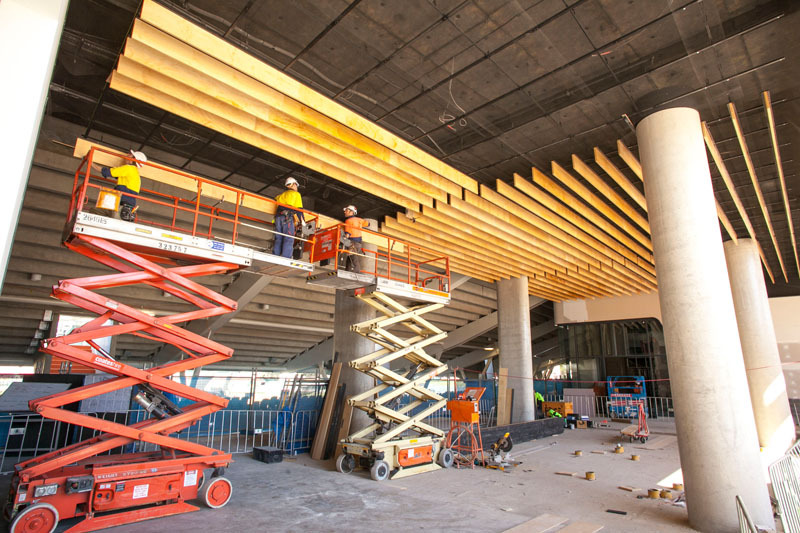 We consider it vital to encourage young people to take up a trade, and will continue to employ willing enthusiastic young workers who wish to pursue a career in this industry.